Site will only be finished when drainage is fixed. Attention to web page viewers!!! 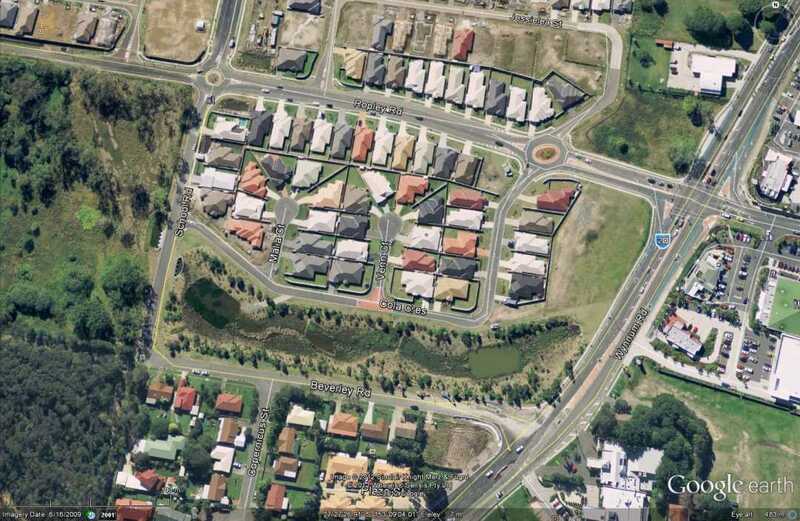 Note the increasing size of the culverts as you view Hemmant Creek culverts upstream from Bulimba Creek from Hemmant all the way to near Manly Road, Manly West. 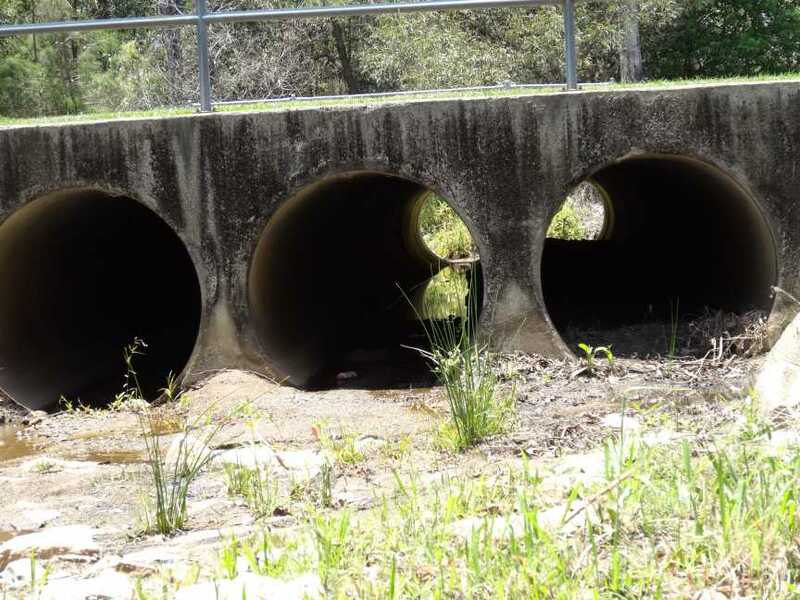 I always understood that culverts needed to be larger as you went further downstream in the catchment due to the increased volume of water flow. Silly ME. 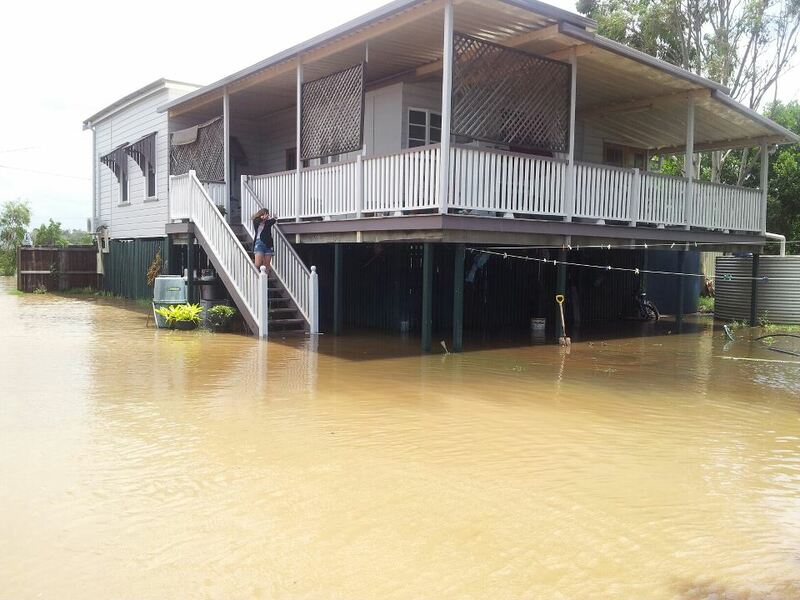 So why do Hemmant residents suffer flooding? 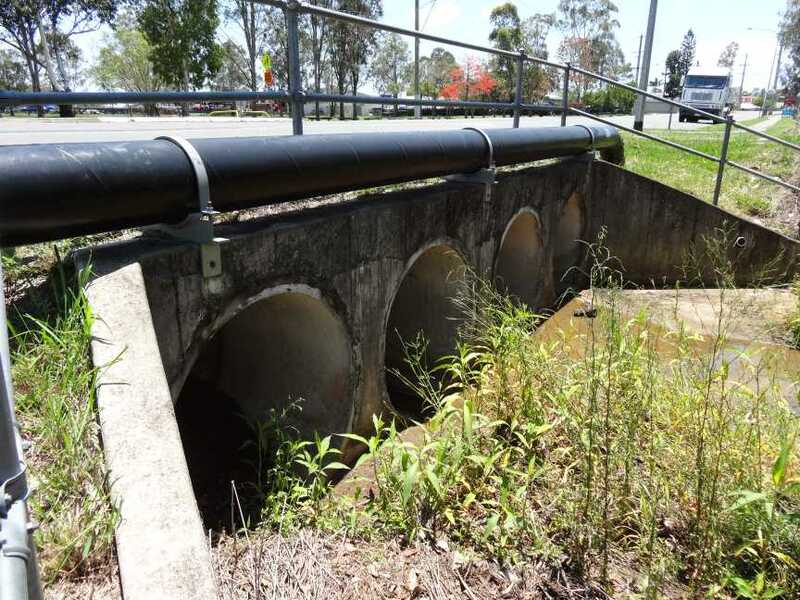 Total lack of maintenance to drainage channels and undersized culverts and a undersized flood gate all which are not (never) maintained by Brisbane City Council. 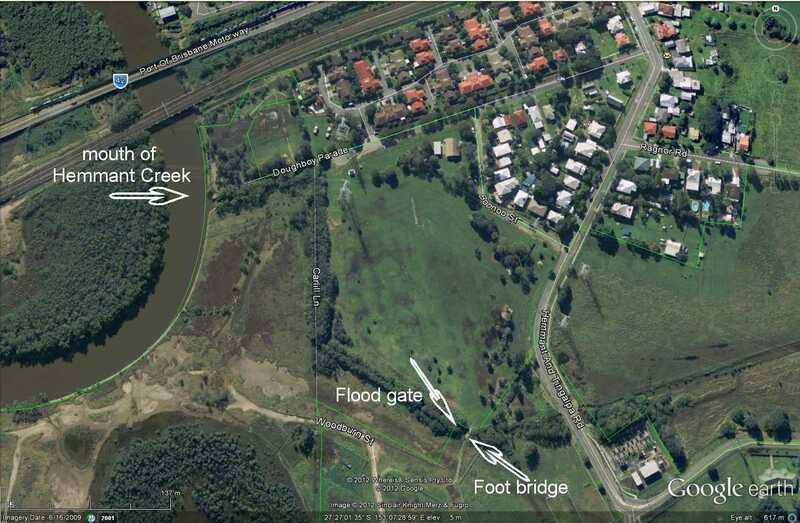 The photo directly below shows the ONLY outlet for Hemmant Creek to flow into Bulimba Creek. Approx. 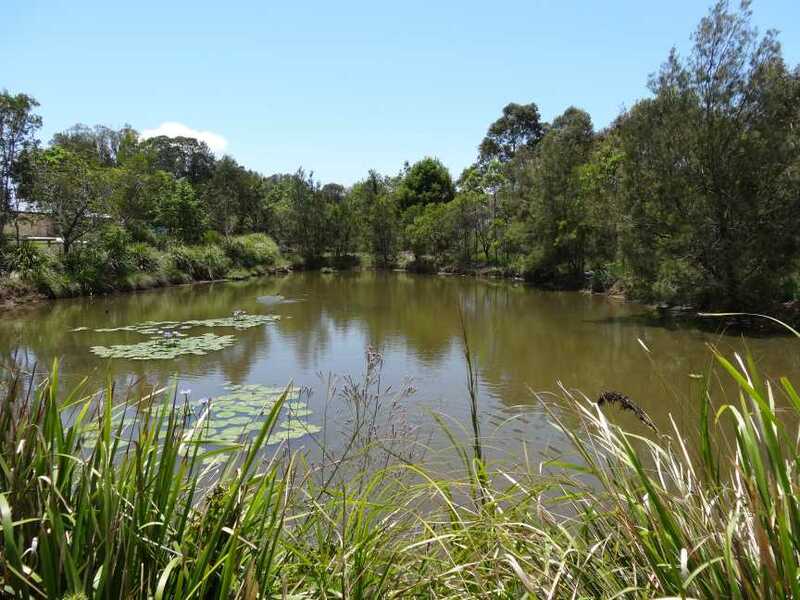 0.5 kms before its mouth with Bulimba Creek. 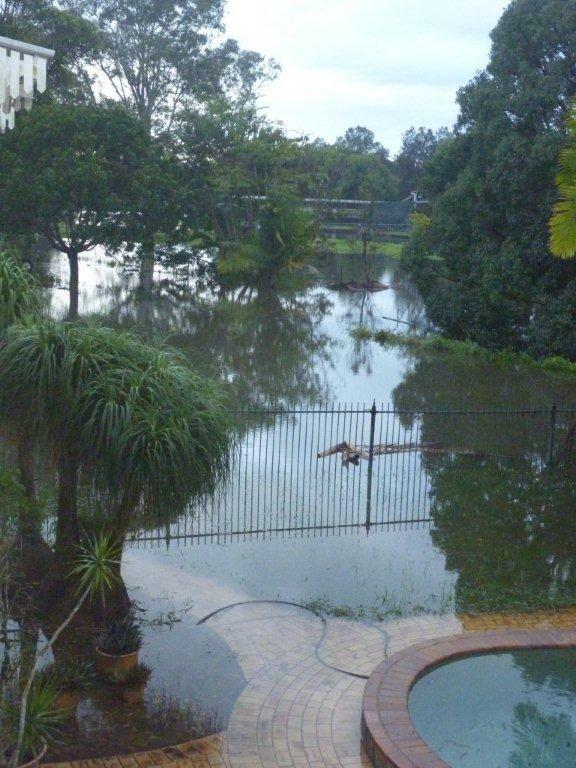 The flood gate allows tidal water to flow past with minimum obstruction, again little or no Brisbane City Council maintenance or interest. 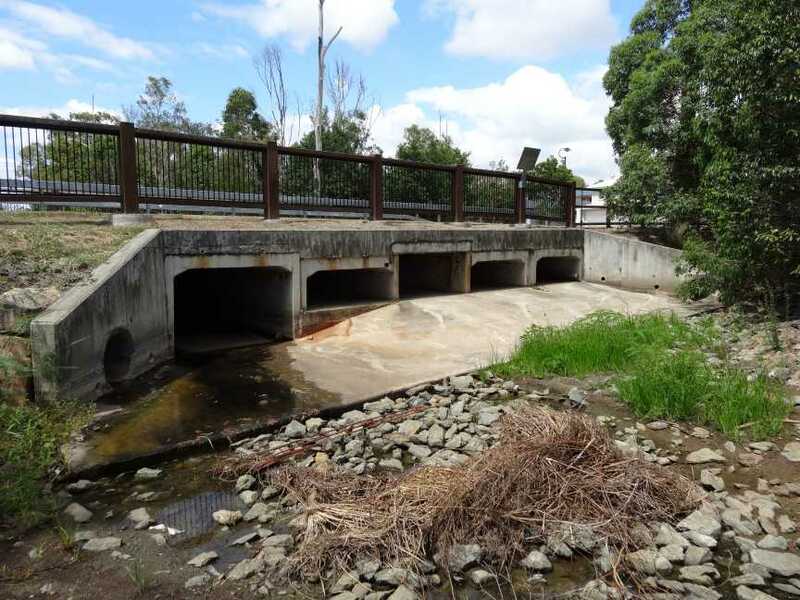 This is the last culvert before Hemmant Creek joins Bulimba Creek. 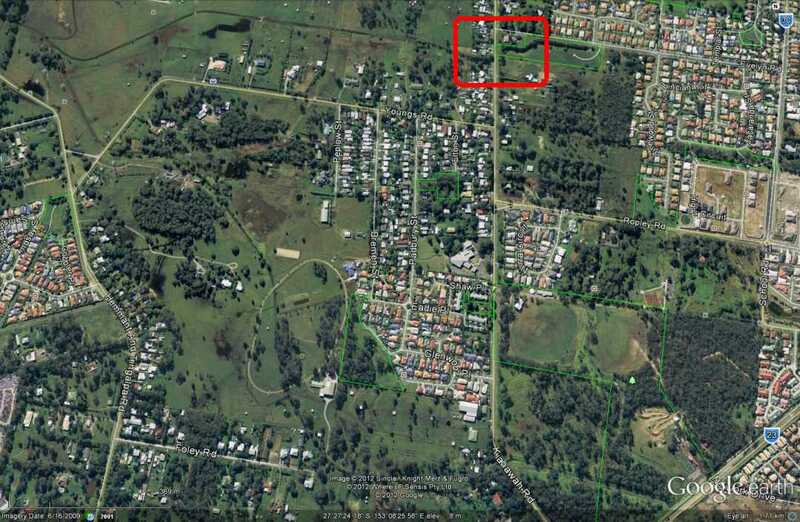 Site: west of Hemmant & Tingalpa Road, Hemmant near Flood Gate. 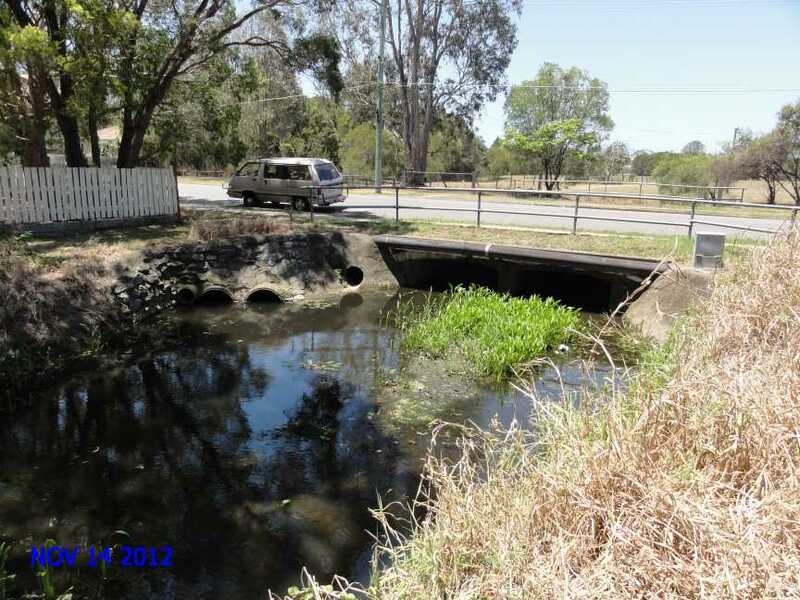 Local residents have informed our group that they have also complained about this partially blocked culvert many times in the past. 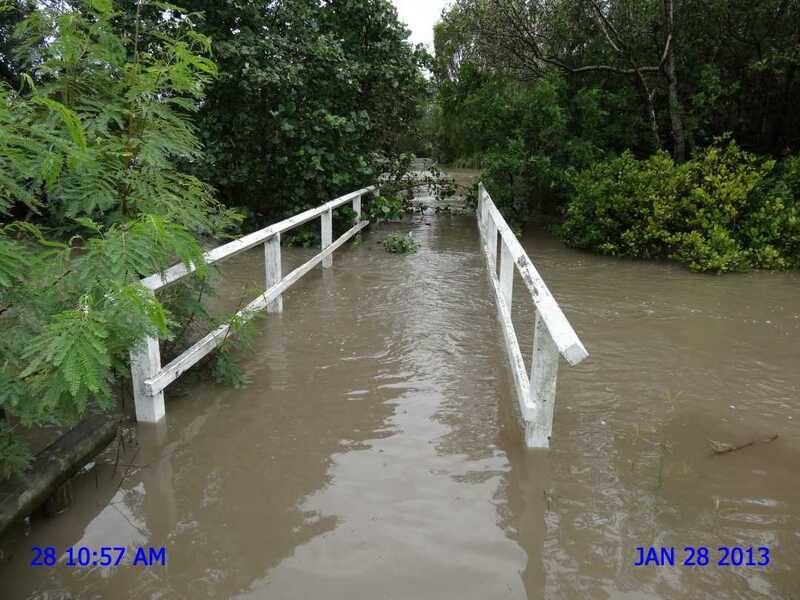 This photo below was taken on 8 January 2013 at Link Street, Manly West near Manly Road at the head waters of Hemmant Creek. Just upstream this point Hemmant Creek exists only in underground in pipes. 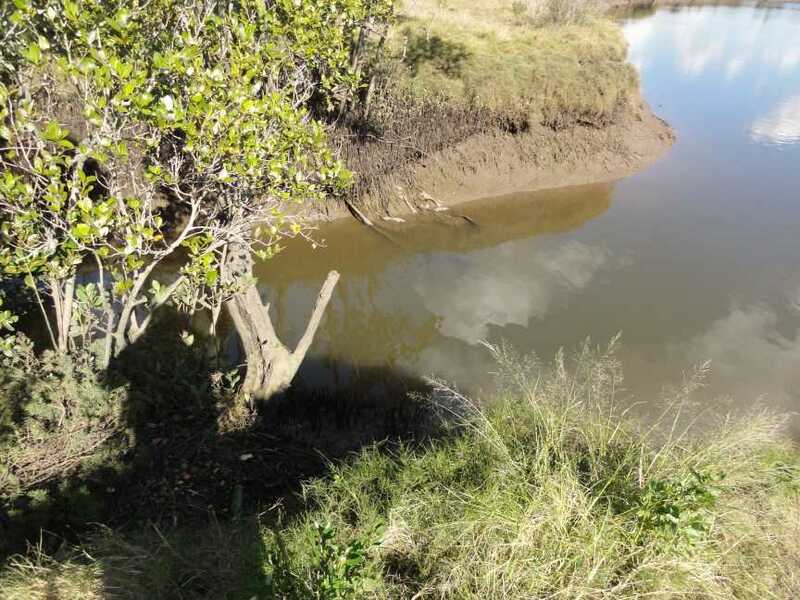 Some design engineer required this culvert of this capacity over 5 kilometres upstream of the mouth of Hemmant Creek. 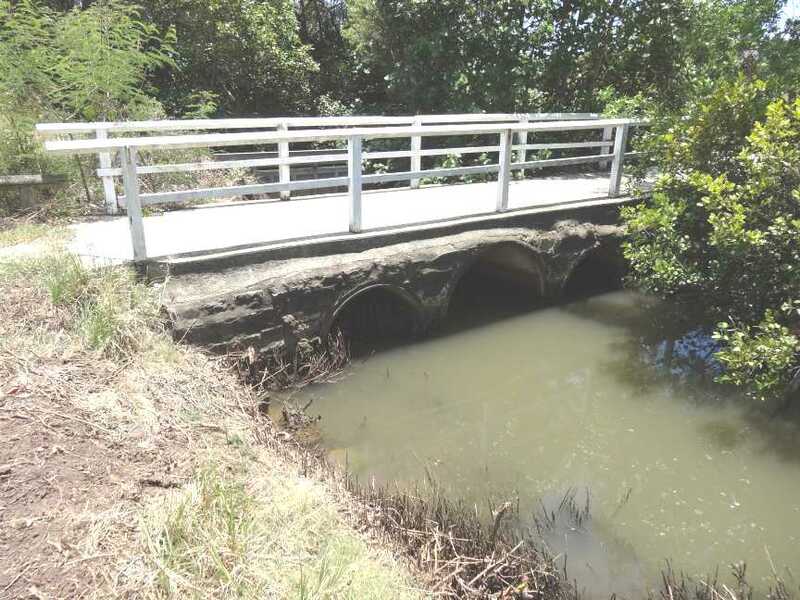 But remember the three pipe culverts in the first photo (two pipes with restricted water flows due to mangrove roots) about 0.5 kilometre from the mouth of Hemmant Creek. 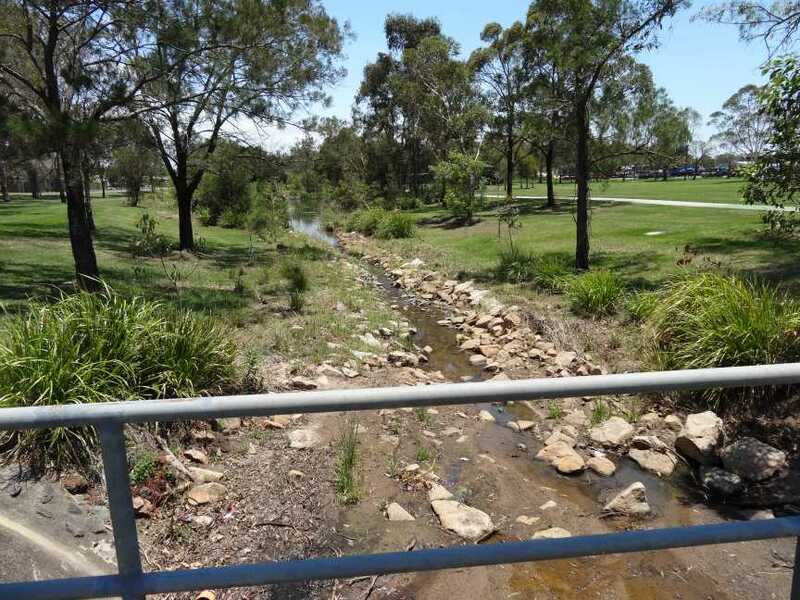 Upstream Hemmant Creek, Hemmant and Tingalpa Road Hemmant. 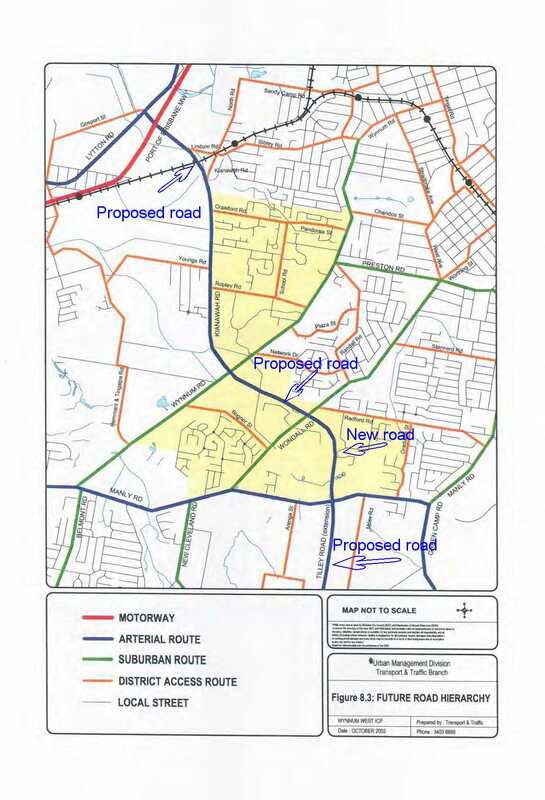 As a matter of interest residents in the Hemmant Creek corridor should be aware of the map below. 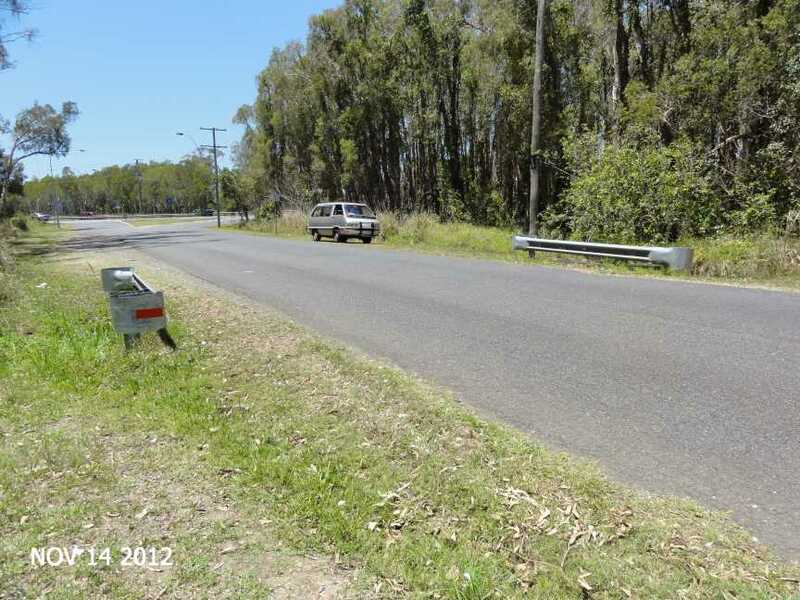 It is the intentions of Brisbane City Council and State Government to connect Tilley Road Gumdale to Lytton Road Hemmant with a 4 lane road @ 80 kph plus 2 bike lanes. Then it is intention close the road crossing at the Lindum Railway Station. 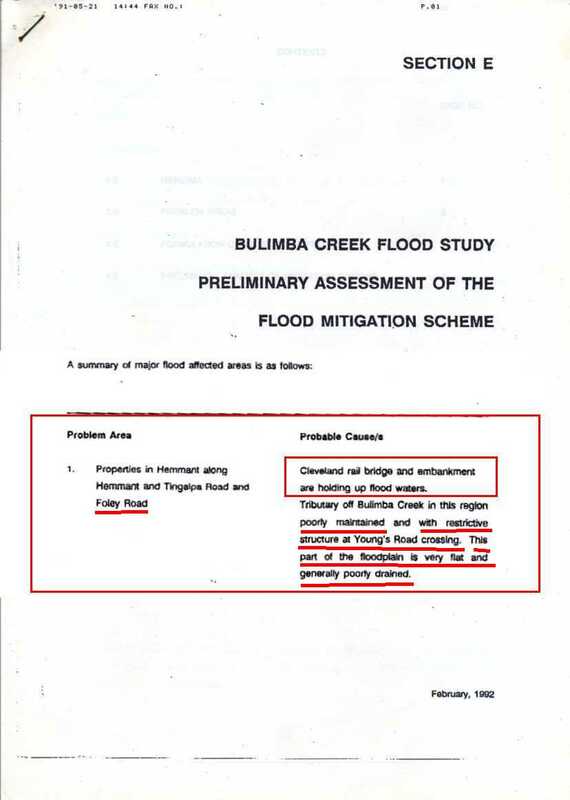 This will mean a upgraded road above flood height with implications of the loss of flood plain capacity and restrictive drainage beneath it. 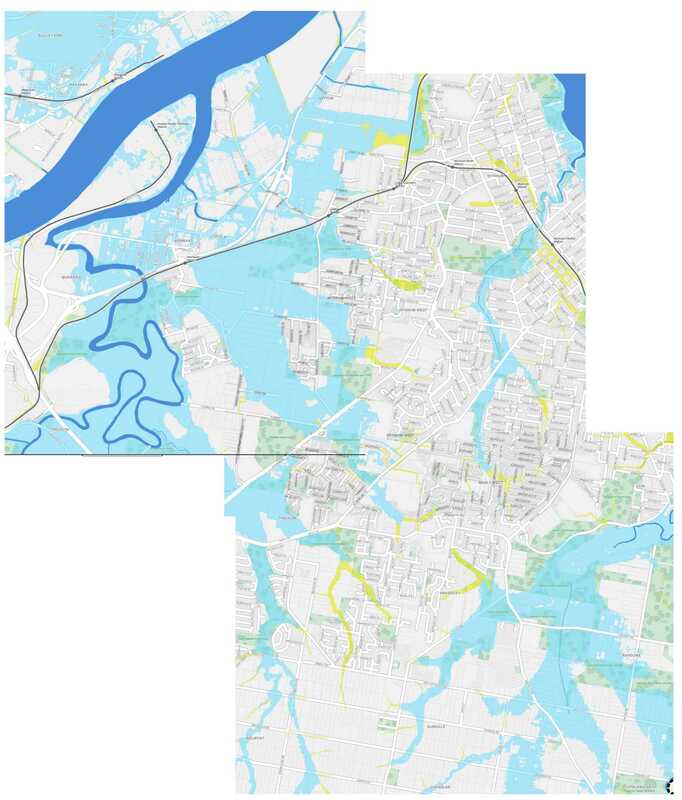 And last but not least a massive amount of fill across the flood plain resulting in another retention dam and more frequent flooding of properties. 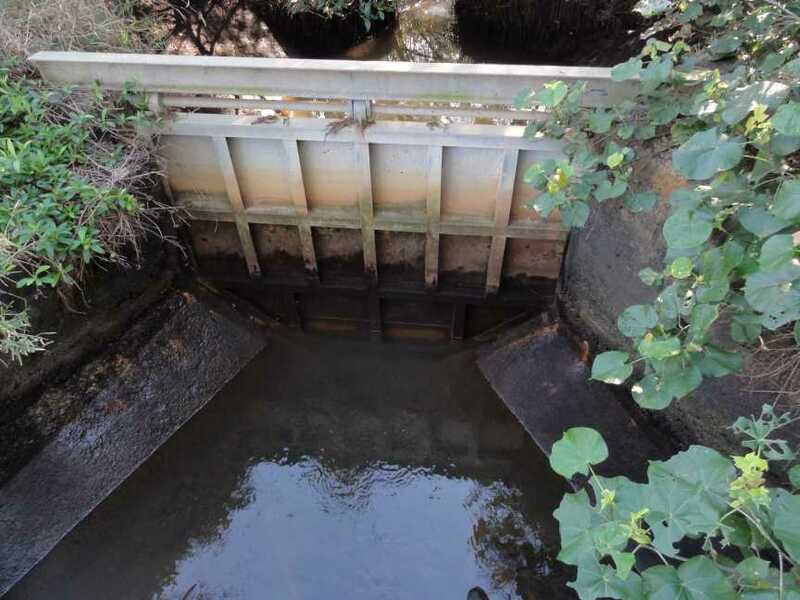 Hemmant Creek Floodgate at low tide. 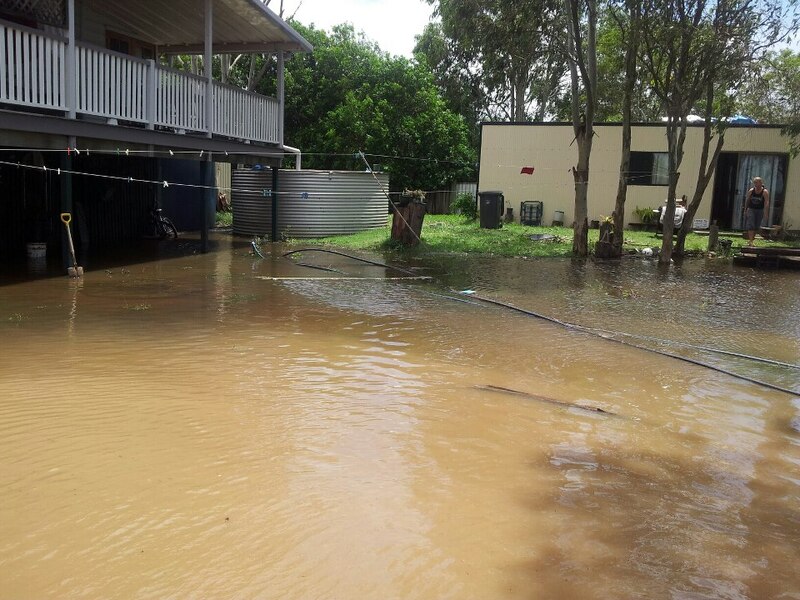 Above: Flood Gate near Hemmant & Tingalpa Road at Hemmant after local flooding. 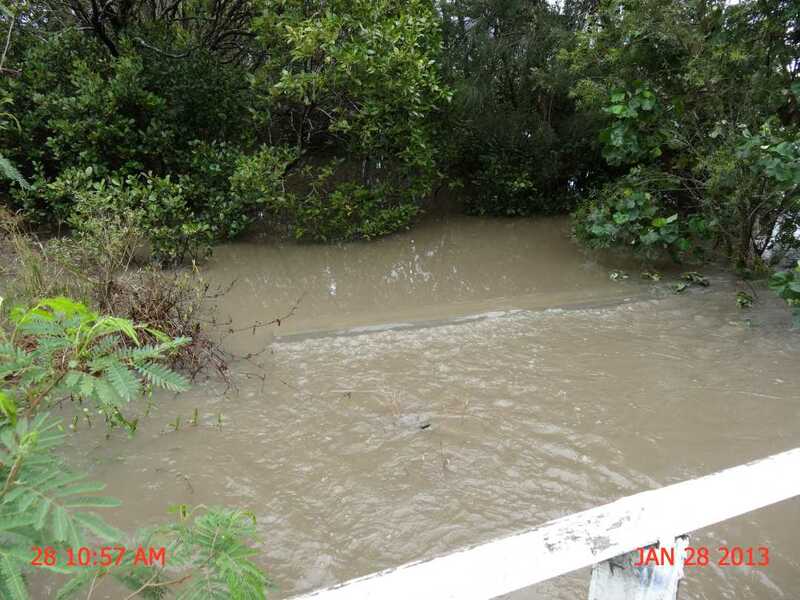 Hemmant Creek Floodgate with incoming tide. Doesn't seal real well does it? 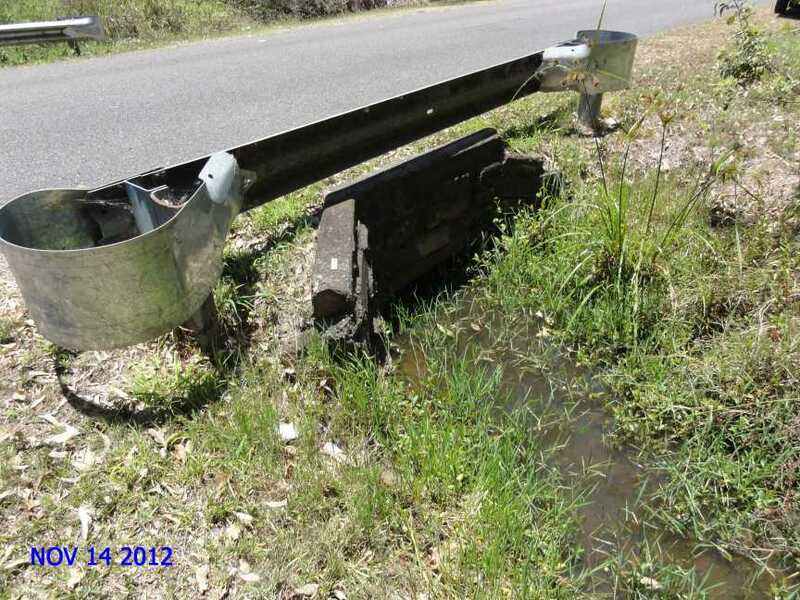 But don't worry it's on the Brisbane City Council's repair list. But when? Do they care? 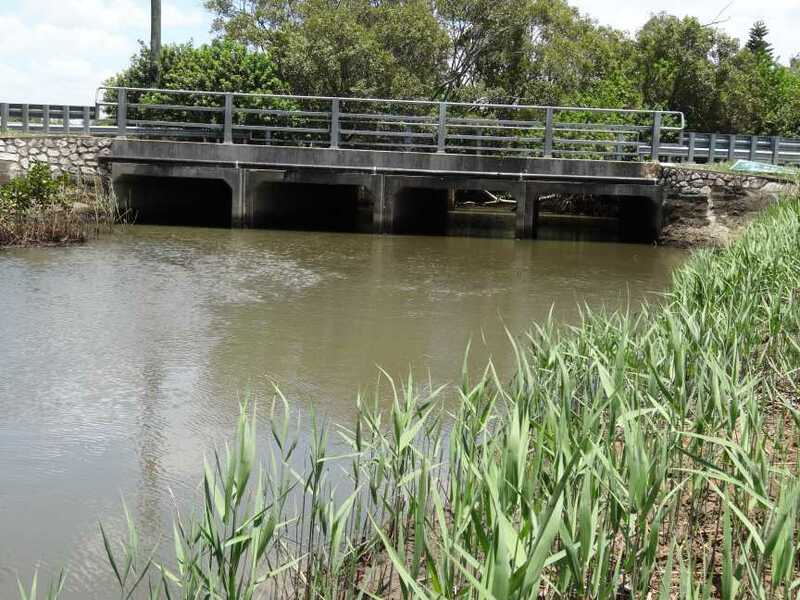 Floodgate Hemmant Creek near Hemmant & Tingalpa Road. 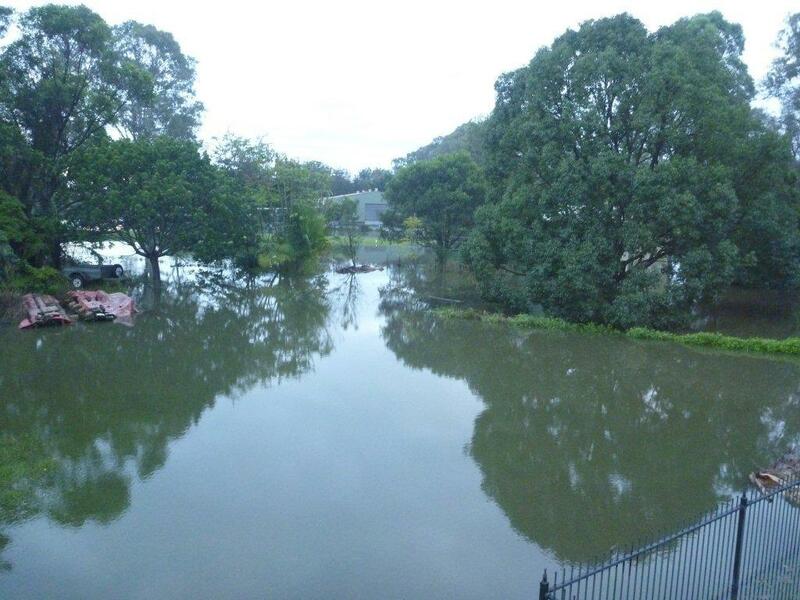 Bulimba Creek in Flood near high tide. 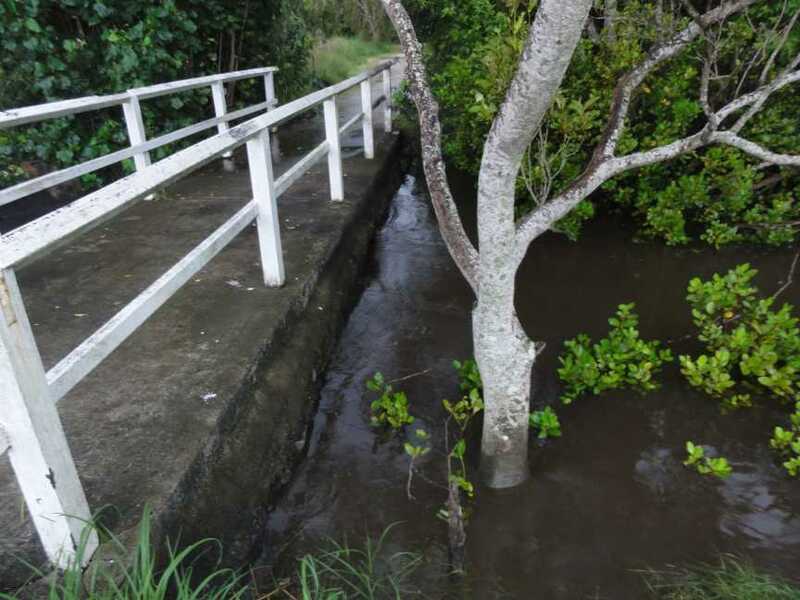 Hemmant Creek Floodgate completely covered with floodwater. 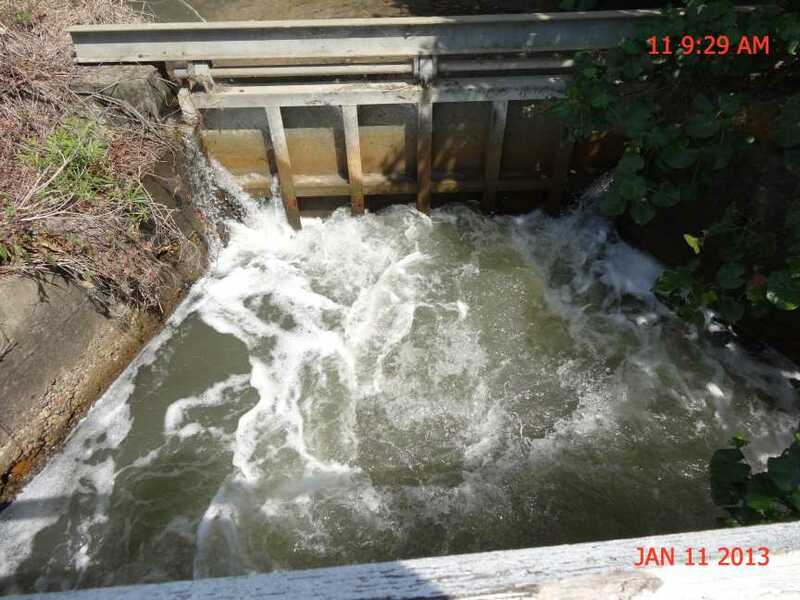 What is the use of a floodgate if the flood waters not only cover it but flow around it as well? 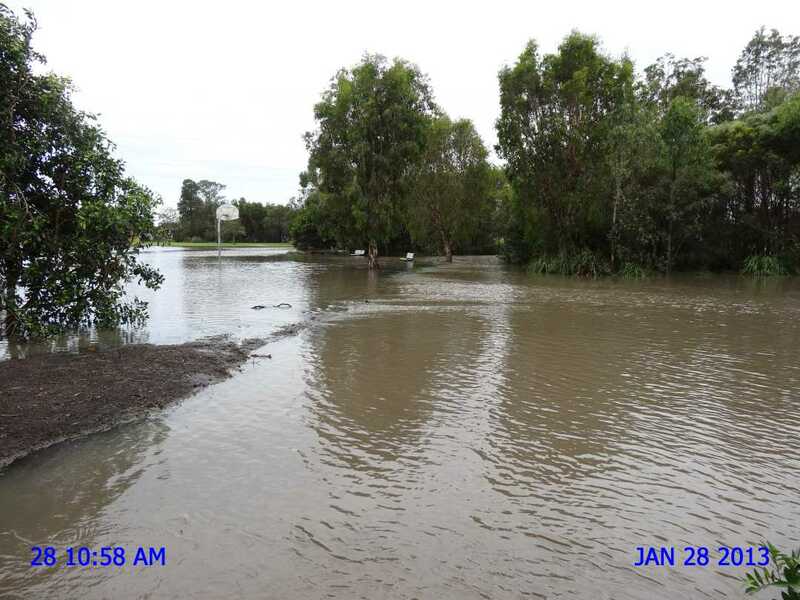 Photograph taken a few metres north of floodgate (on Hemmant Creek) showing floodwater from Bulimba Creek water flowing from west to east towards Hemmant & Tingalpa Road box culverts bypassing the floodgate on Hemmant Creek entirely. Pedestrian Bridge part of unmade Woodburn Street Hemmant. 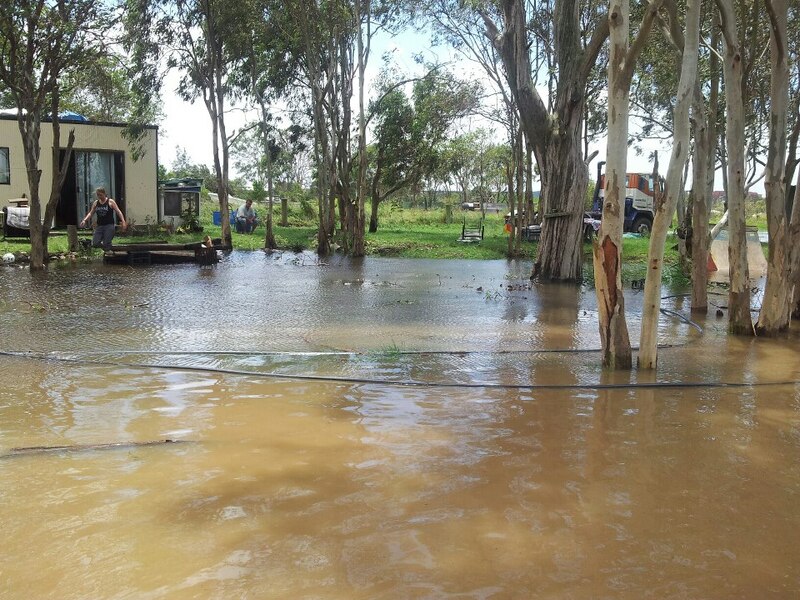 Where does this flood water go? 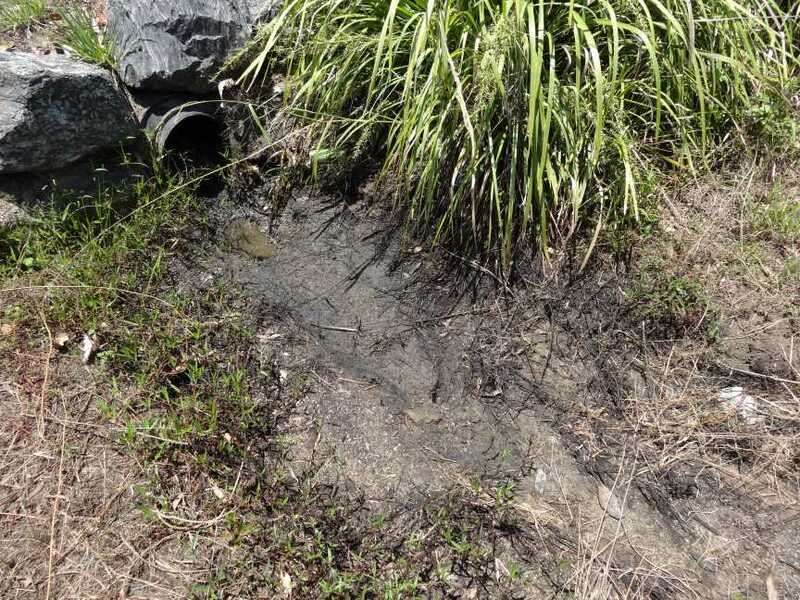 What problems does it cause in the Hemmant Creek Flood Plain? January 2013 Ragnor Street Hemmant. No town water. 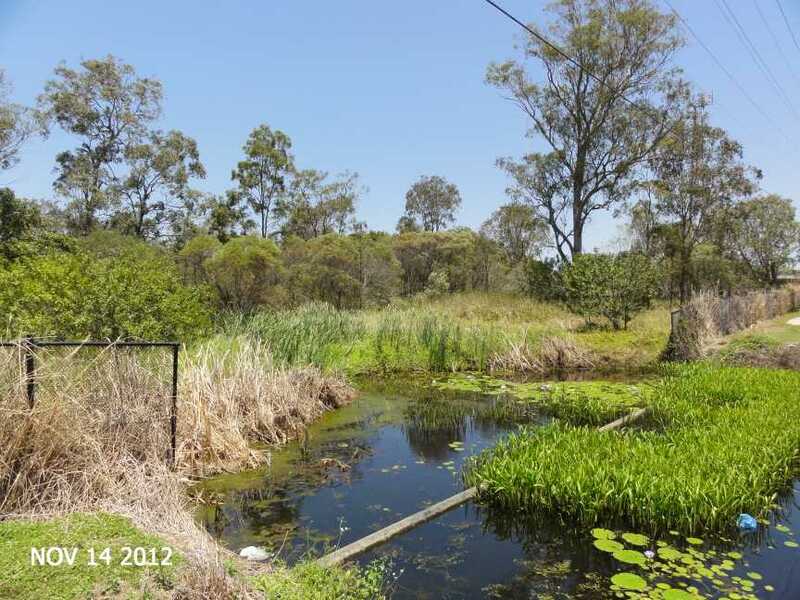 no sewage just 11 kms from Brisbane City Hall and 2 kms from a major sewage works. 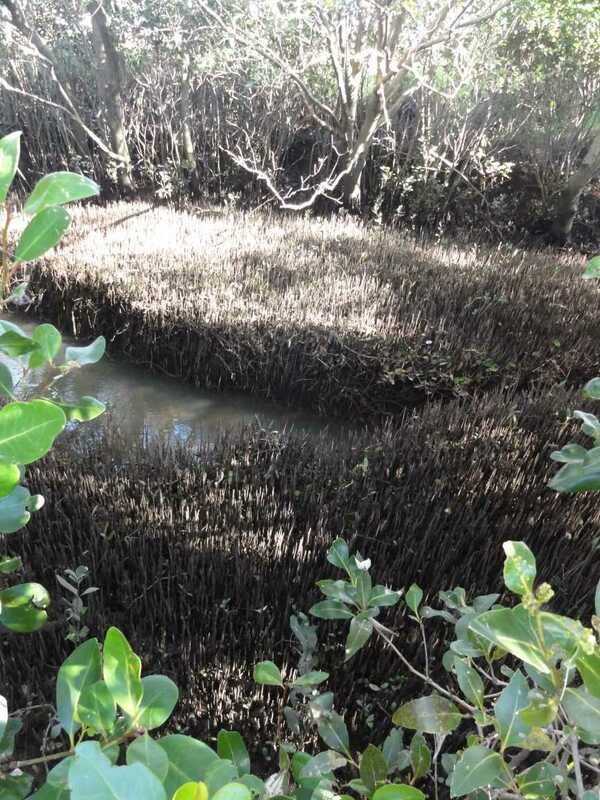 Now what does the mouth of Hemmant Creek look like at near low tide? 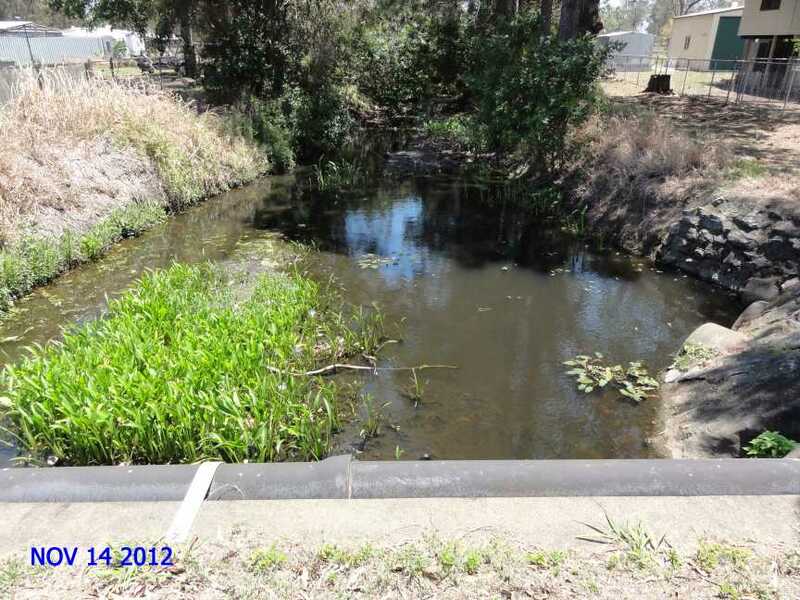 And then compare the upstream Hemmant Creek drainage corridor. 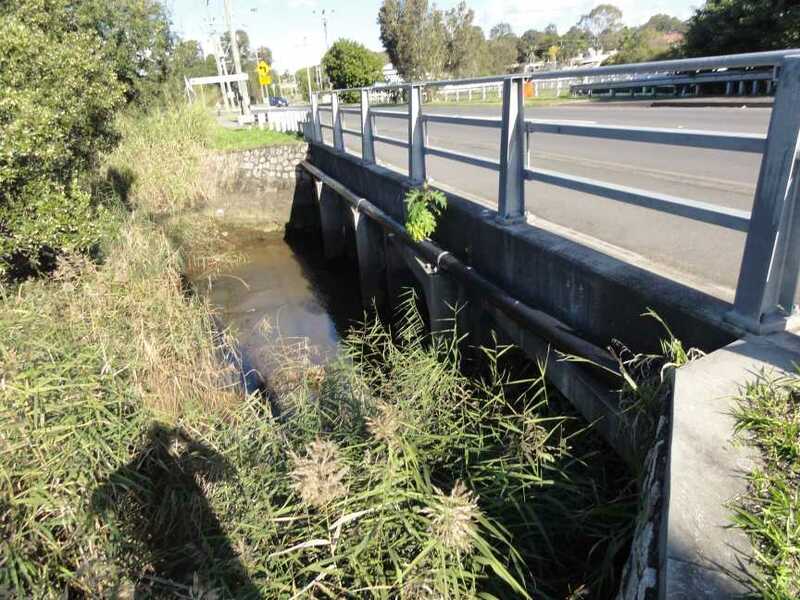 This is a photo of a Hemmant Creek culvert further upstream (1.8 Km) at Wynnum Road. 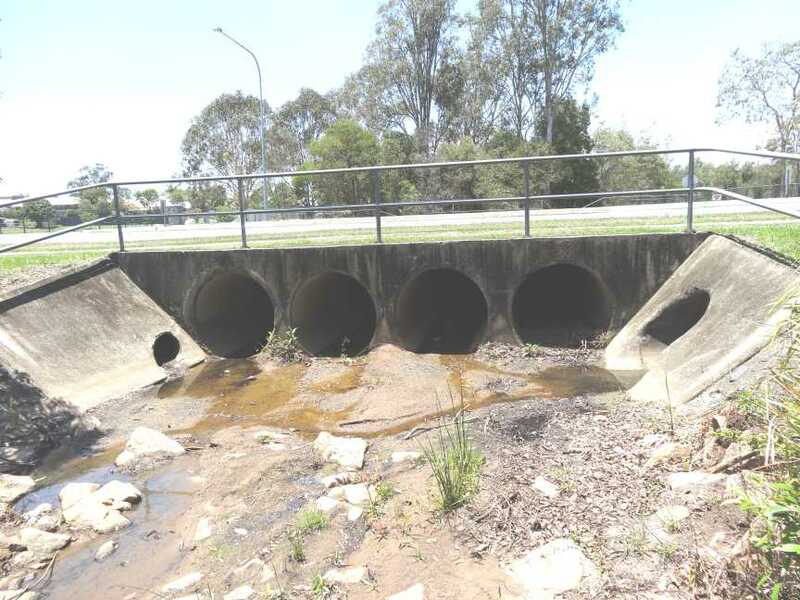 Capacity through culverts of 39.6 sq metres. Some 20 metres wide. 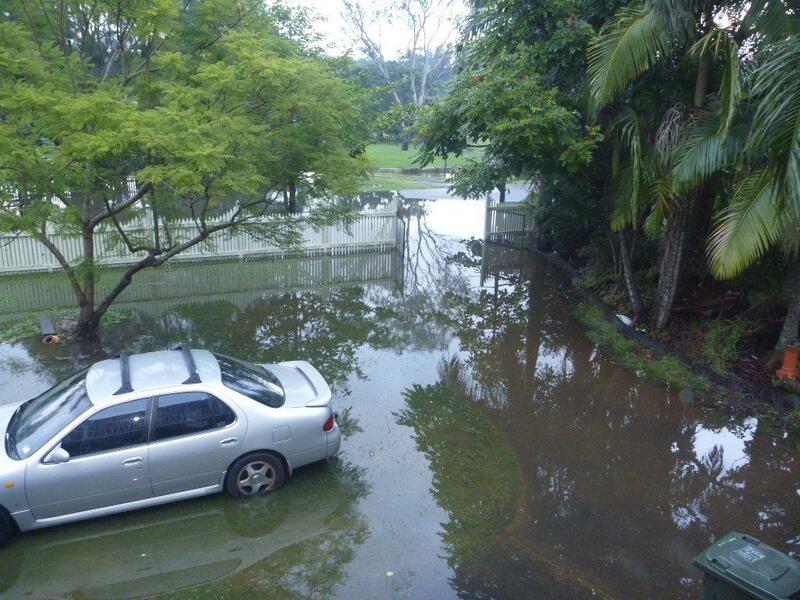 If only this drainage capacity was all the way to Bulimba Creek!!!! 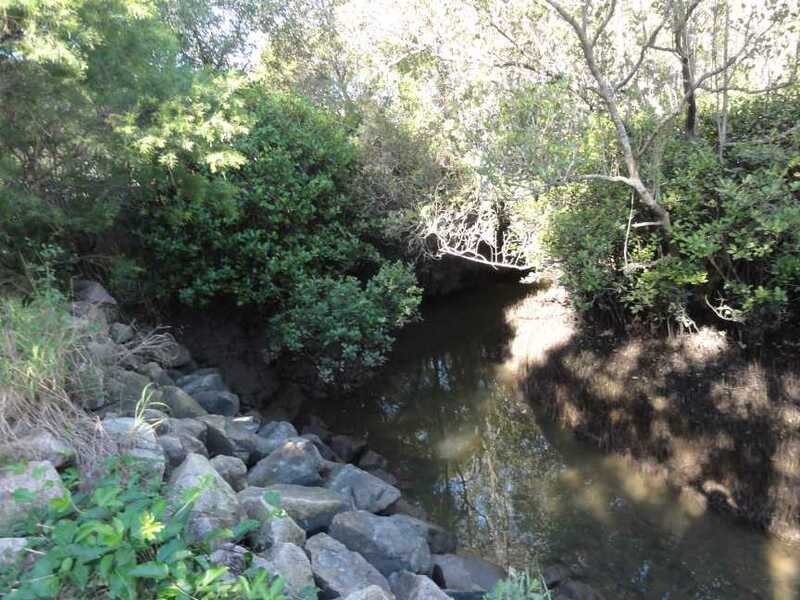 This photo Hemmant Creek 5 kilometres upstream from mouth near Manly Road, Manly West. 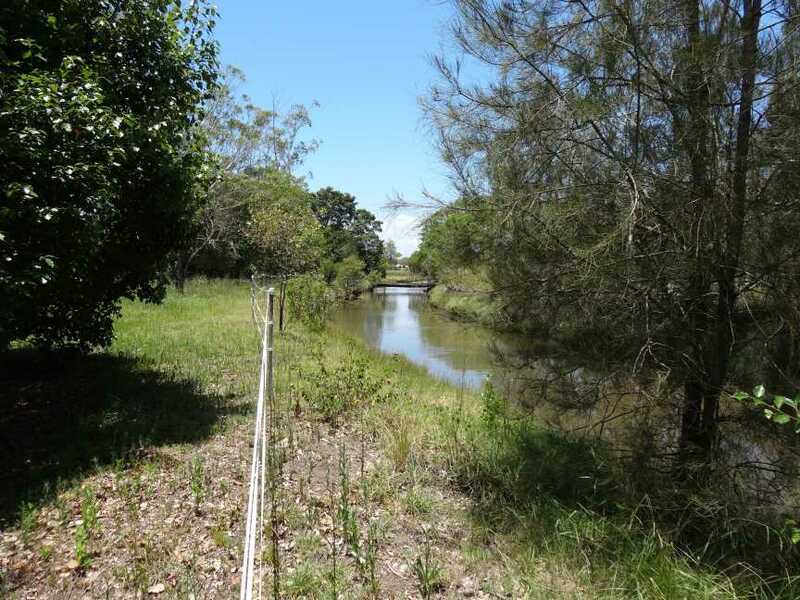 This is Hemmant Creek just upstream of mouth with Bulimba Creek. 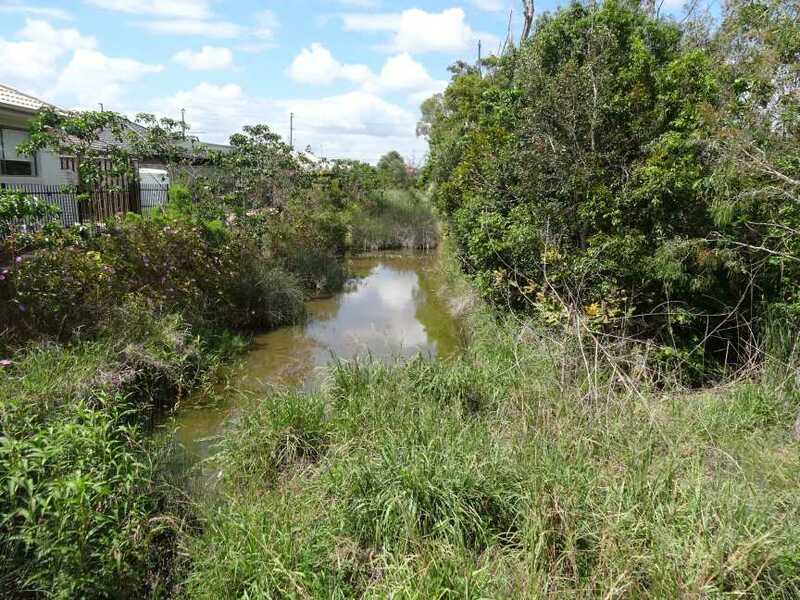 This is Hemmant Creek just upstream of its mouth with Bulimba Creek. 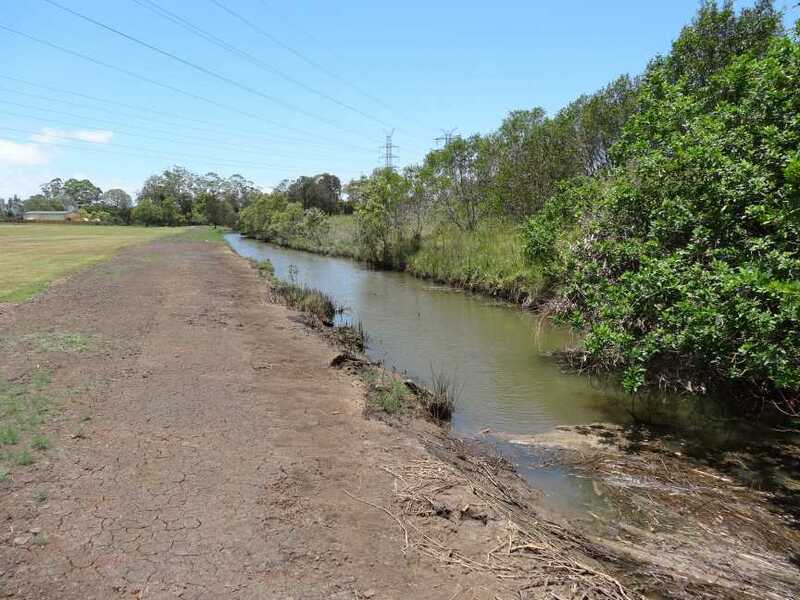 This is Hemmant Creek further upstream from Bulimba Creek. 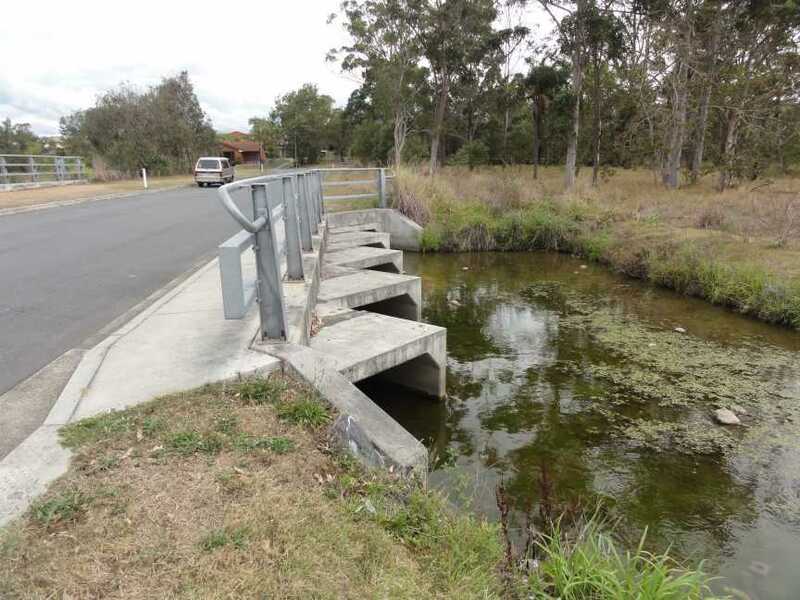 Flood gate near Hemmant and Tingalpa Road at Hemmant. 0.5 kilometre upstream from mouth. 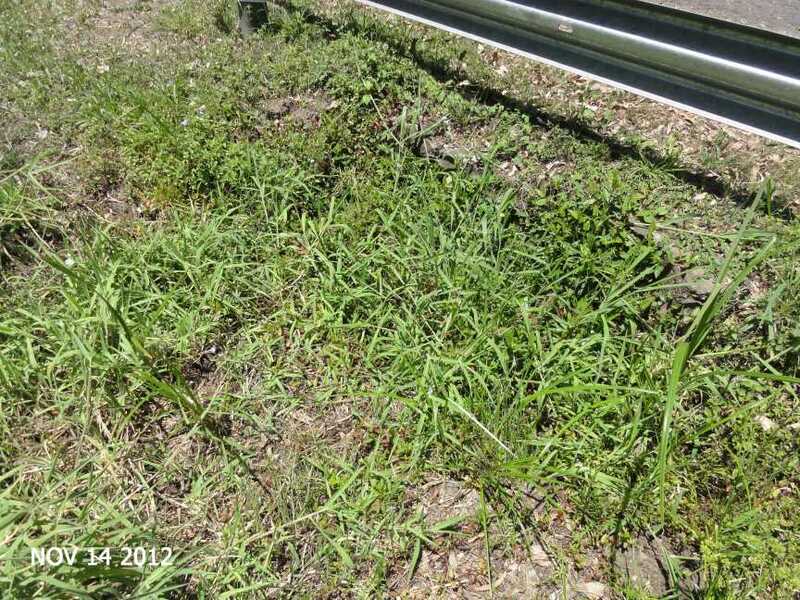 New complaint to Brisbane City Council 9 January 2013. Allowing tidal water to flow past. 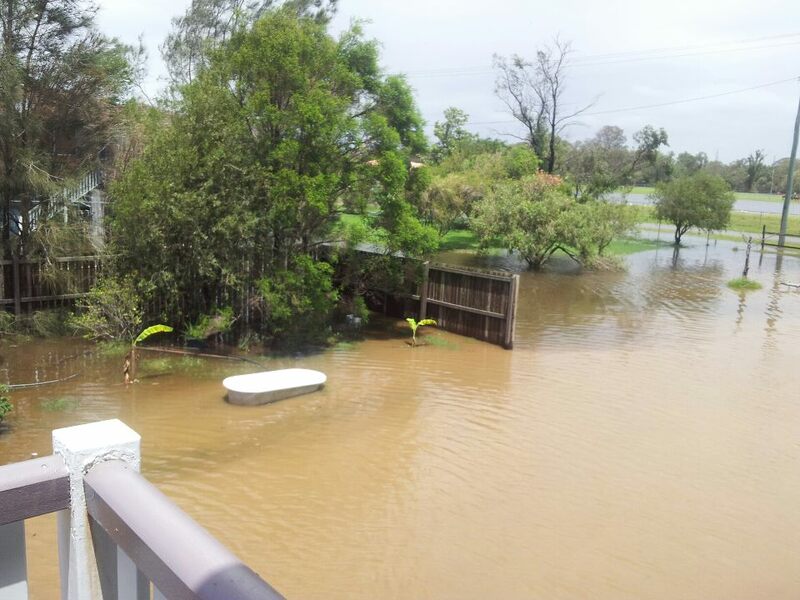 Upstream side of pedestrian bridge near flood gate at Hemmant and Tingalpa Road. 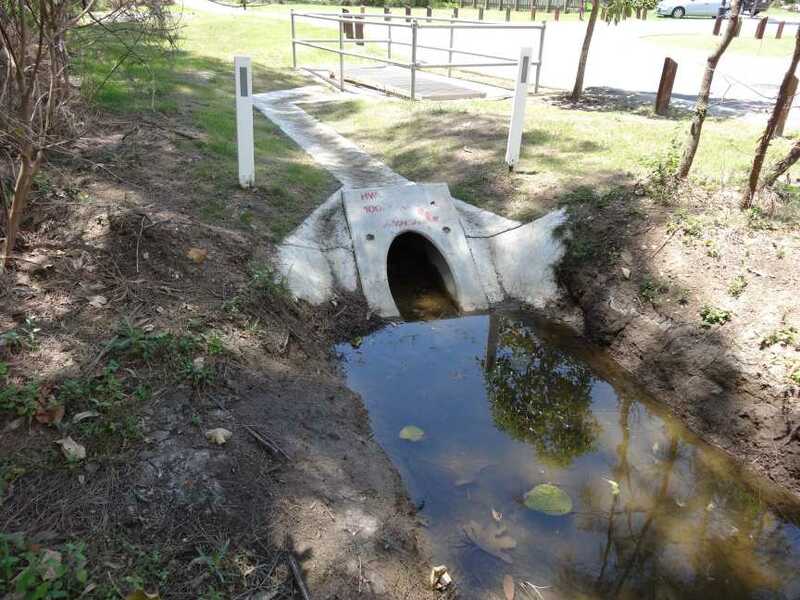 Image of southern culvert as above. 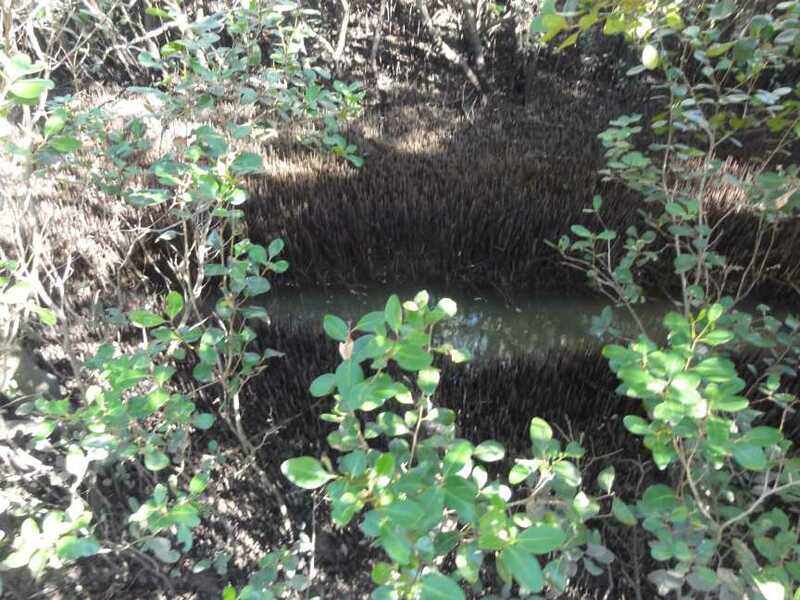 Image of northern culvert as above. 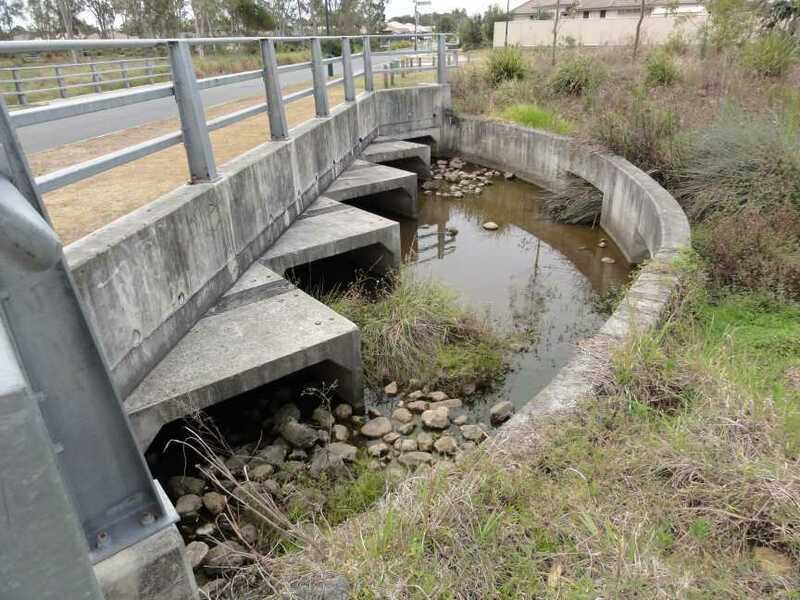 Compare the 4 culvert for size at Hemmant and Tingalpa Road Bridge then the three at the pedestrian foot bridge then the size of flood gate. 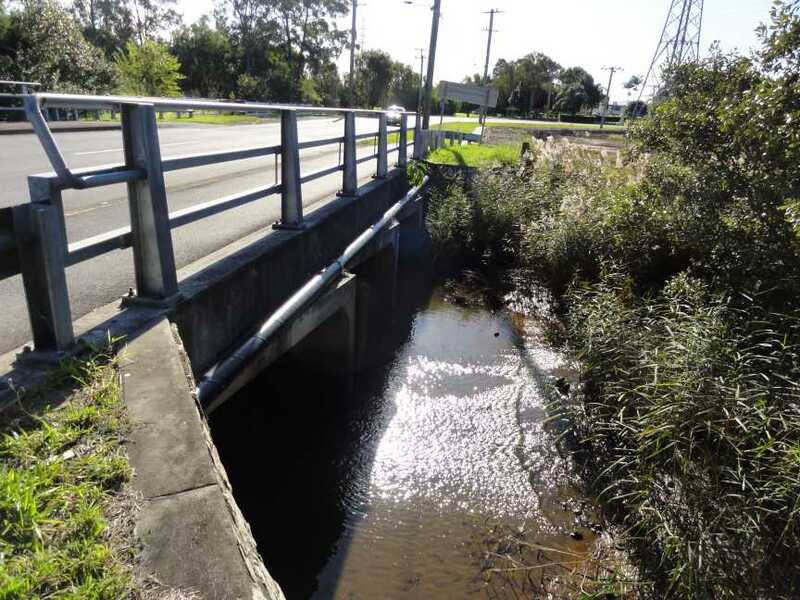 Bridge over Hemmant Creek at Hemmant &Tingalpa Road Upstream side. 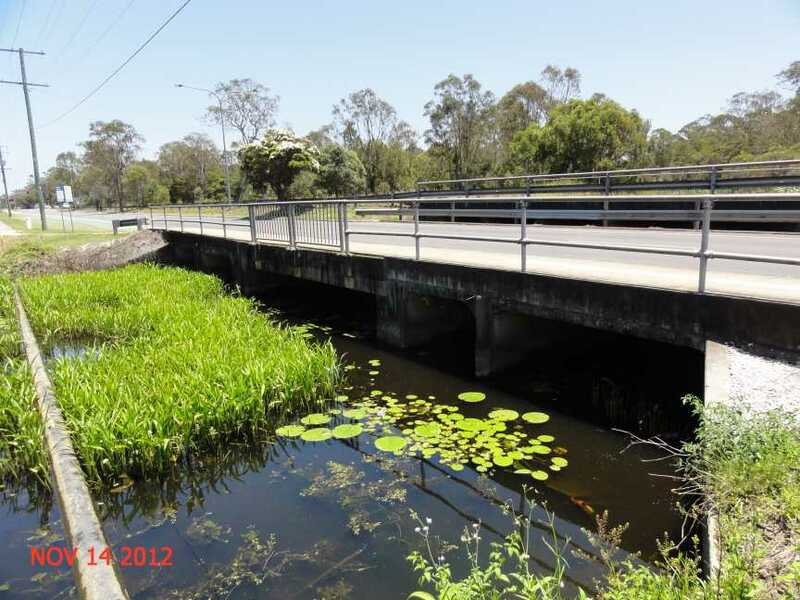 A view of the upstream side of the Road Bridge over Hemmant Creek at Hemmant & Tingalpa Road. 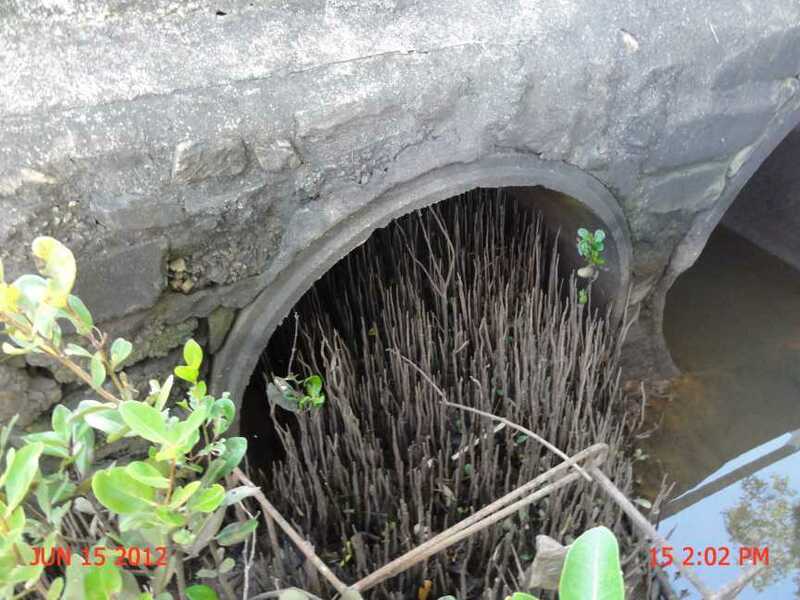 You may want to go back a several photos and remind yourself just how small the next 3 culverts are just a few metres downstream where two have a considerable amount of mangrove roots reducing water flows. 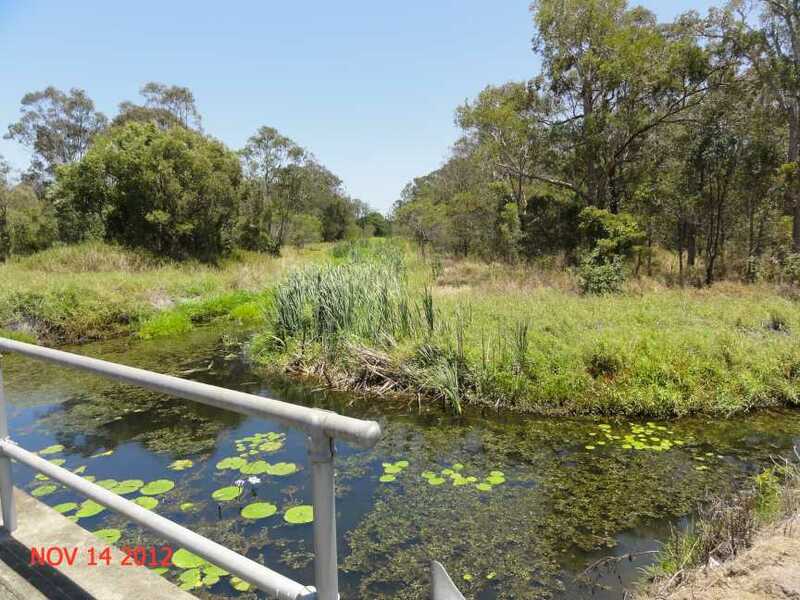 Upstream of Hemmant & Tingalpa Road looking downstream. 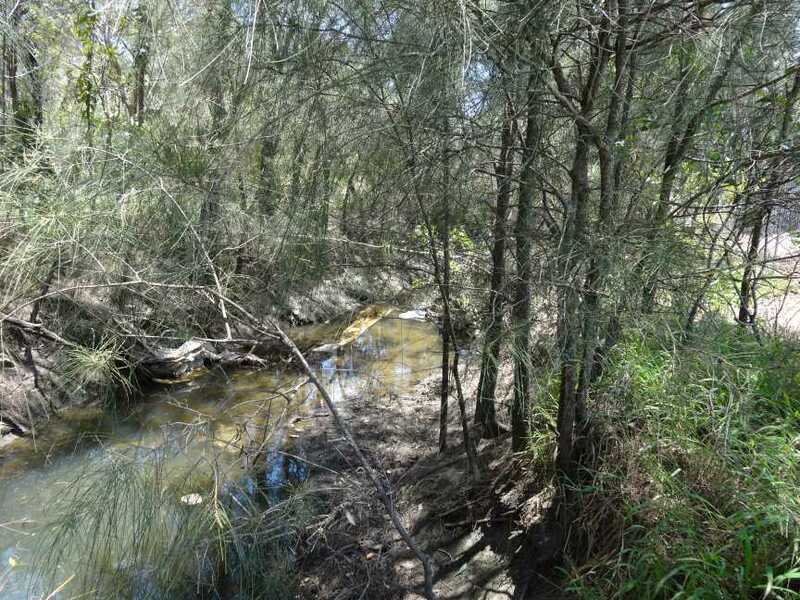 Upstream of Hemmant & Tingalpa Road looking upstream. 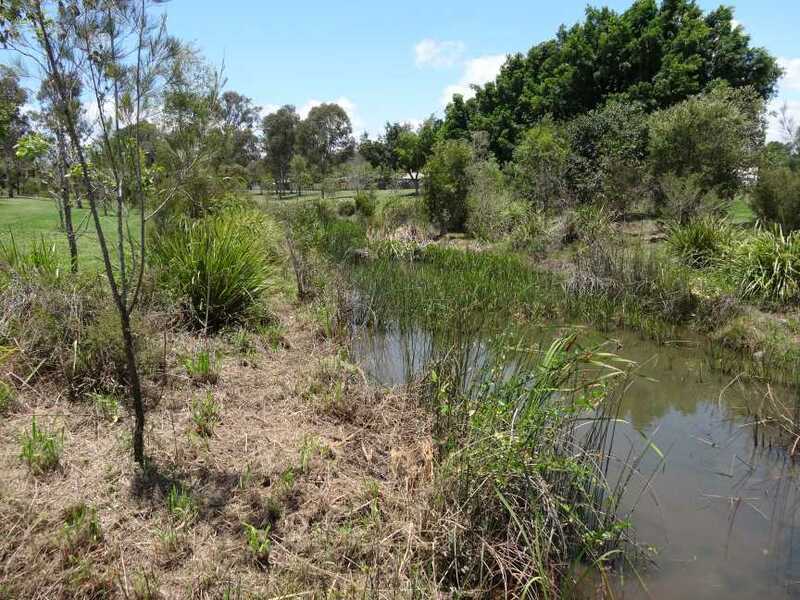 Upstream of Hemmant & Tingalpa Road looking further upstream. Looking at Youngs Road Culvert Hemmant Creek downstream side. The three culverts on the left are Hemmant Creek. Each is 1.2 m diameter. Making a capacity of 1.13 sq m each therefore 3.39 sq m capacity. 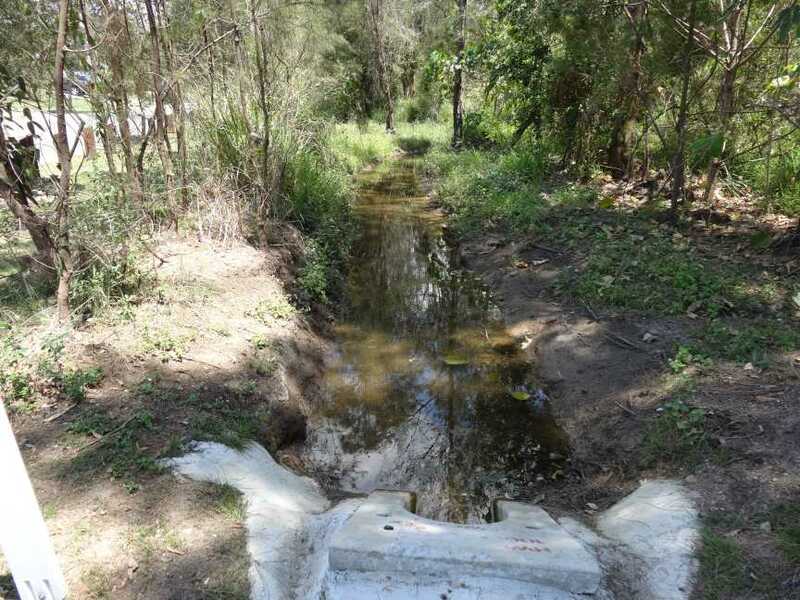 The very same capacity up stream at Kianawah Road culvert about 1.5 km upstream. 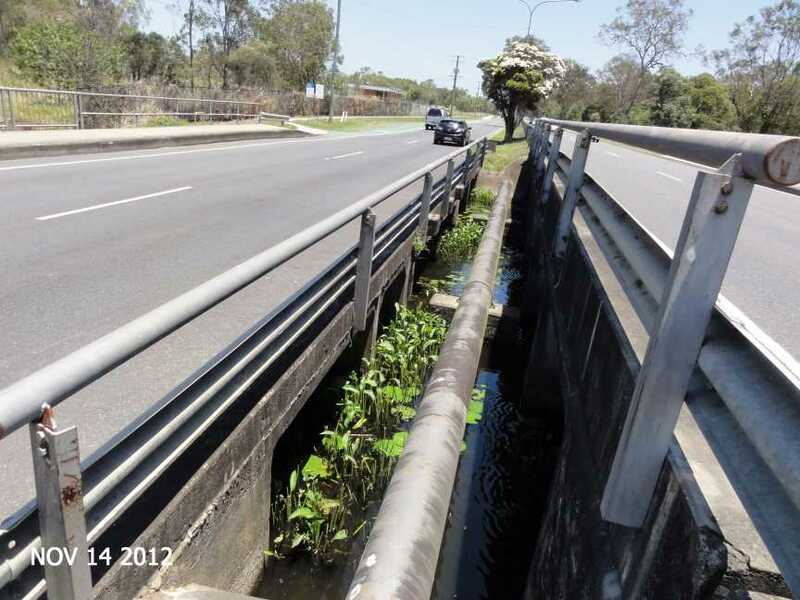 Then upstream at Wynnum Road (400 metres ) the box culverts have a capacity of 39.6 sq m.
More than 10 times that of those downstream. 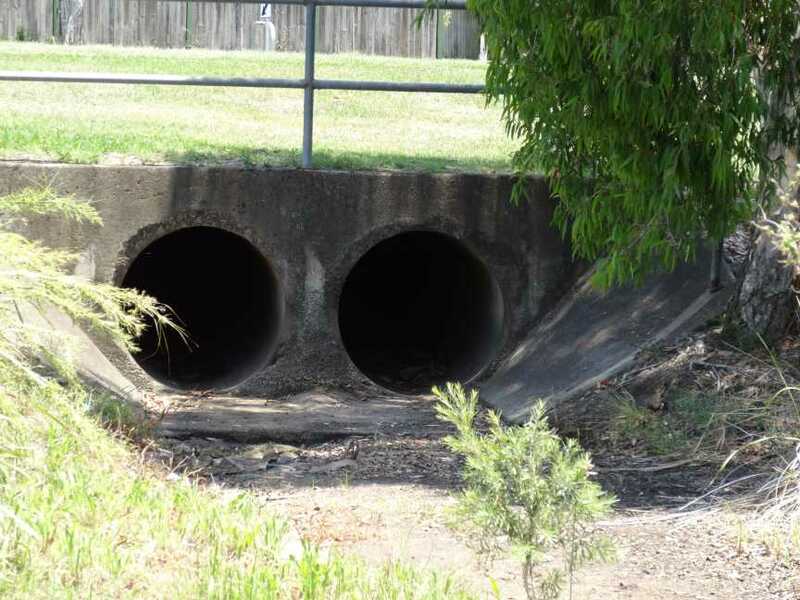 The culvert on right drains along Hemmant Tingalpa Road and from Housing estate. 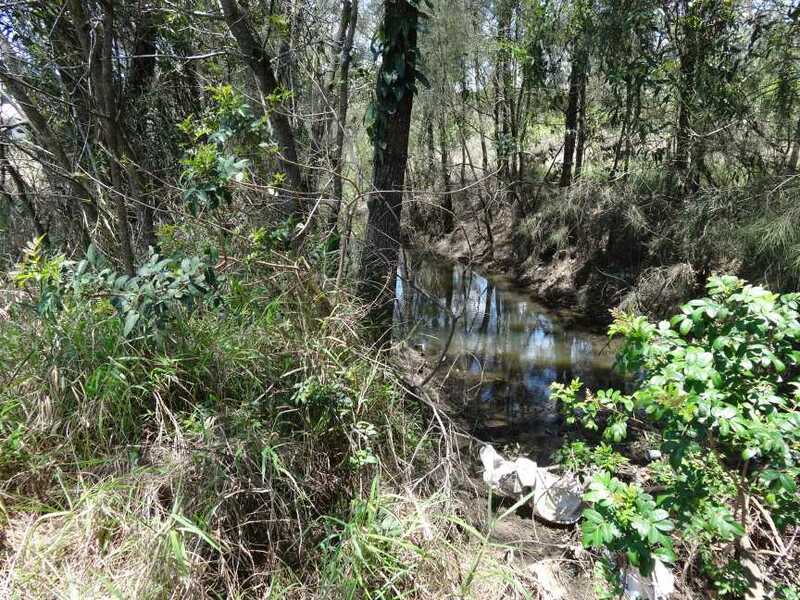 Looking at the 3 pipes which are Hemmant Creek at Youngs Road downstream side. 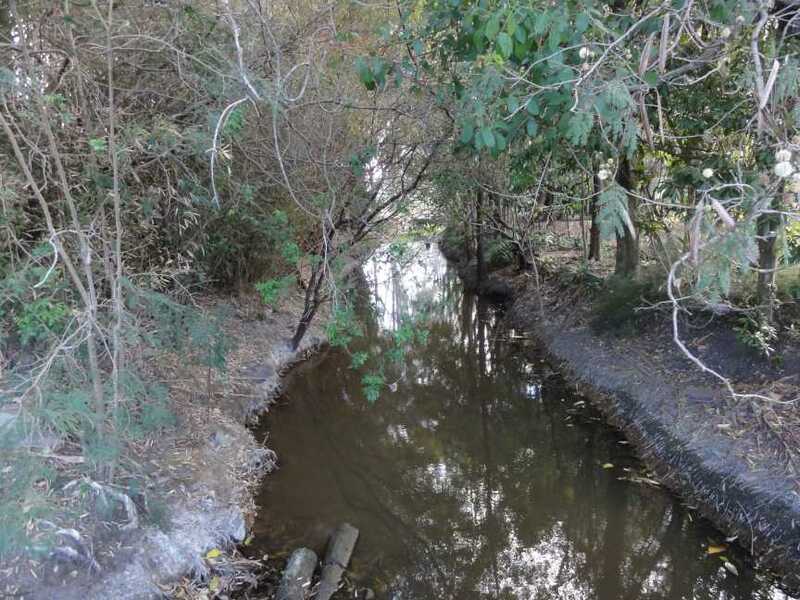 Looking downstream Hemmant Creek from Kianawah Road culvert. 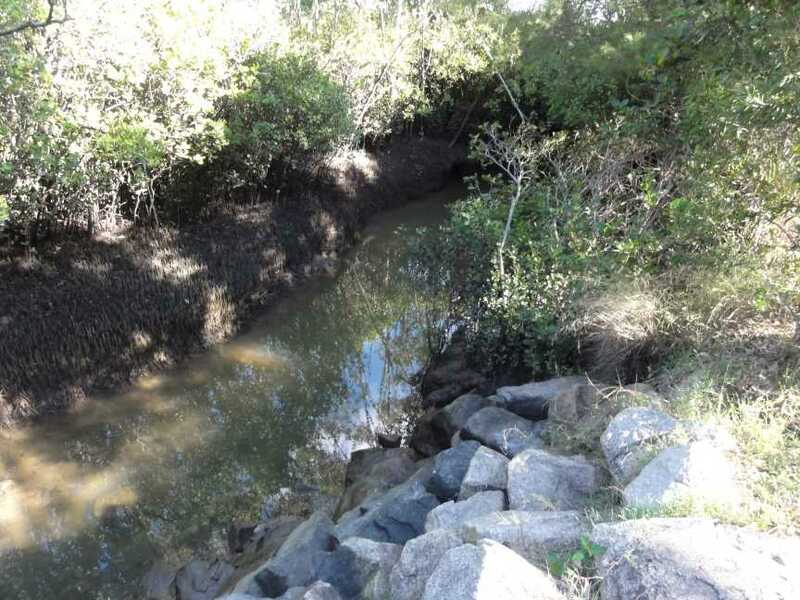 Kianawah Road culvert downstream side Hemmant Creek. 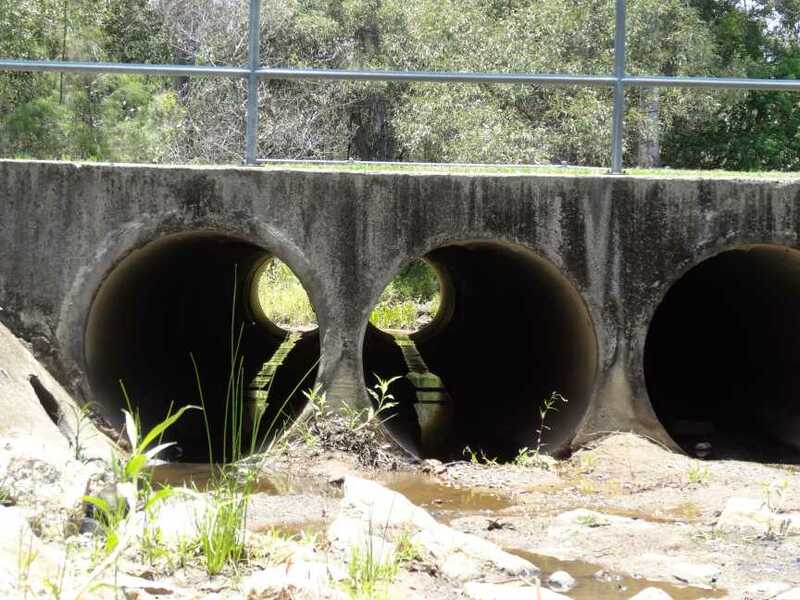 These three culverts are 1.2 m in diameter each. Kianawah Road culvert up stream side Hemmant Creek. 1.2 metres in diameter each. 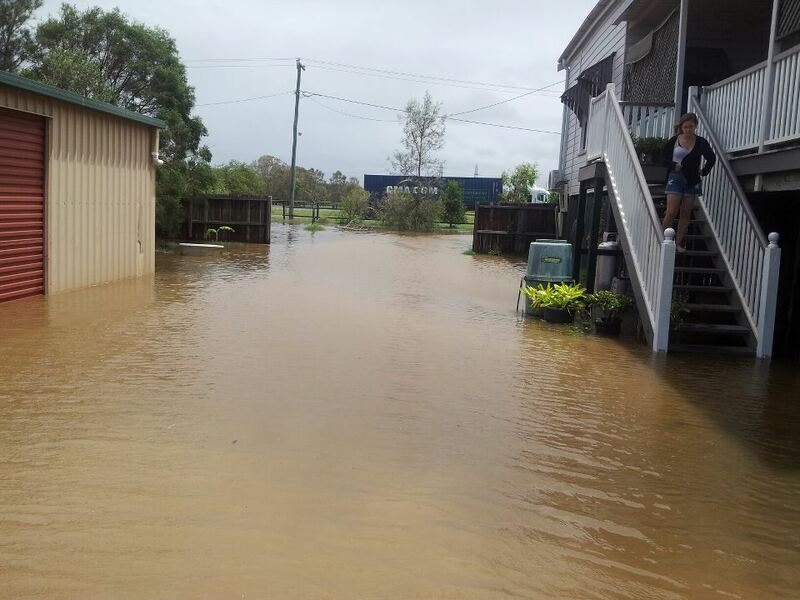 Same as Youngs Road 1.5 kms downstream. Hemmant Creek up stream side of Kianawah Road. 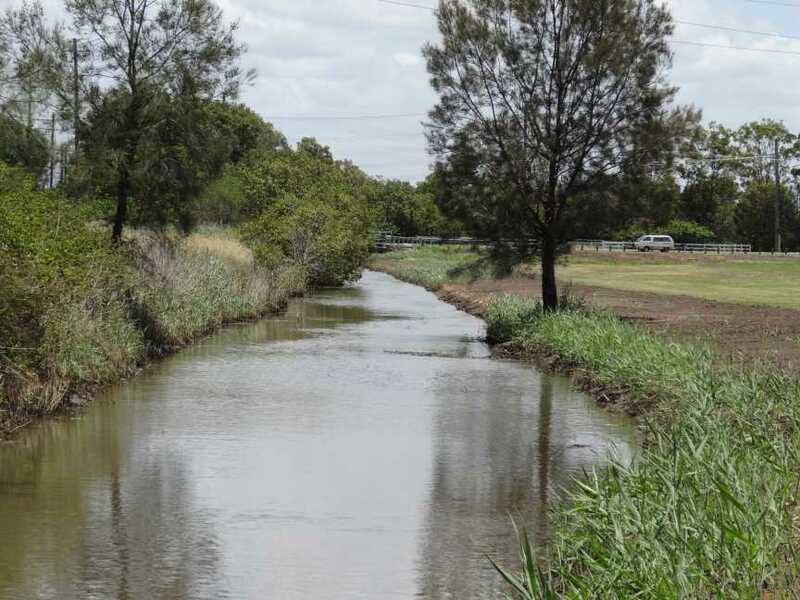 Photo from Wynnum Road Wynnum West near High School and BMX track looking downstream towards the Kianawah Road. 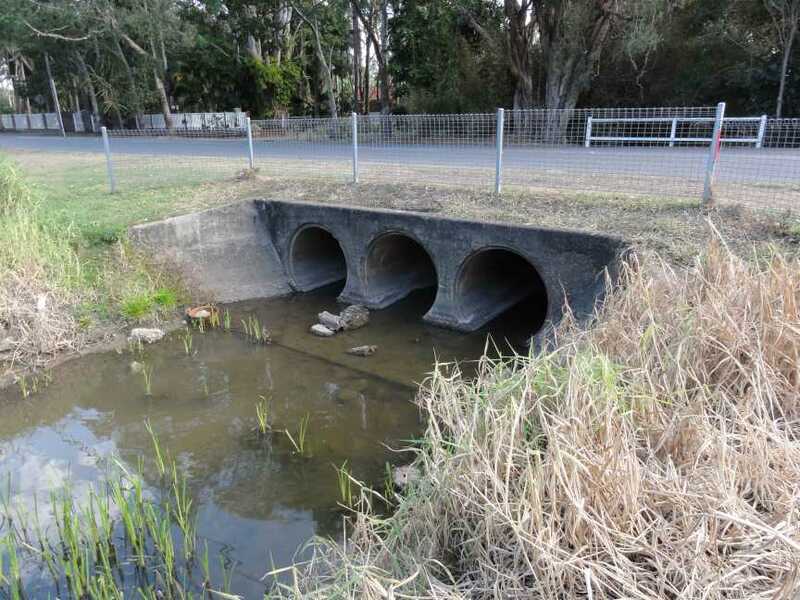 6 Box culverts each of six is 3 metres wide and 2.2 metres high. 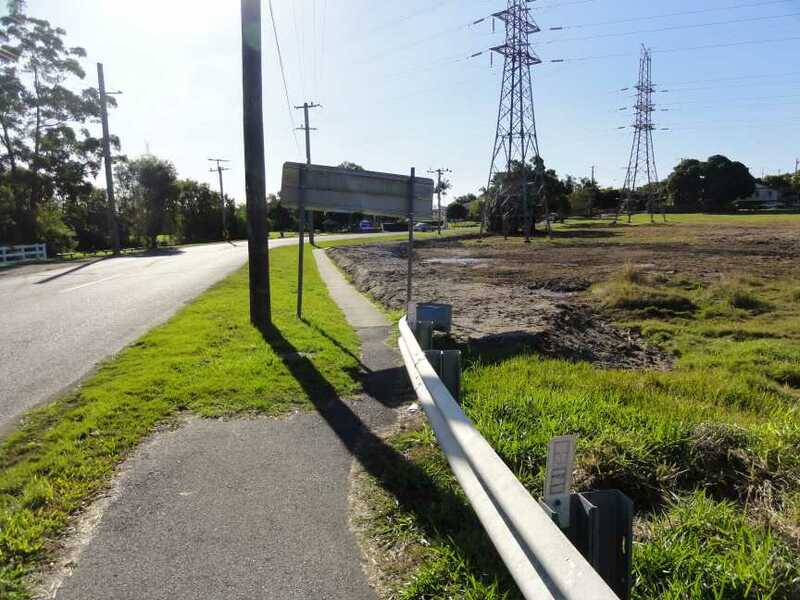 Wynnum Road Wynnum West near High School and BMX track. Total capacity of 39.6 sq metres. About 20 metres wide. 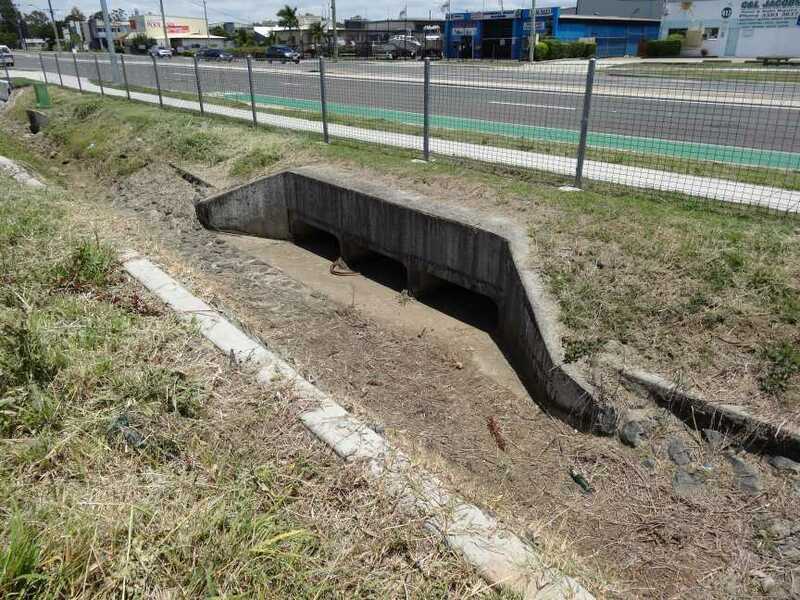 Looking west at the Culverts between the inbound and out bound lands of Wynnum Road, Wynnum West. 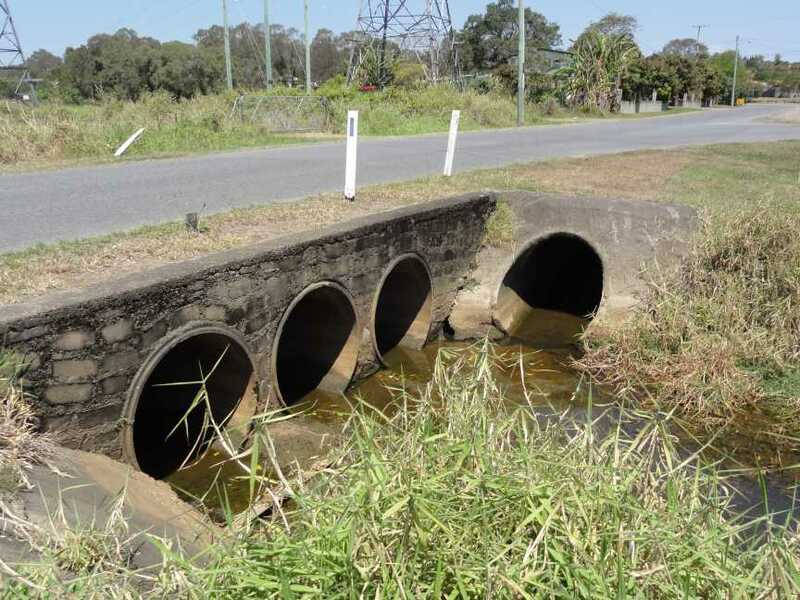 Culverts under the inbound lanes of Wynnum Road Wynnum West. 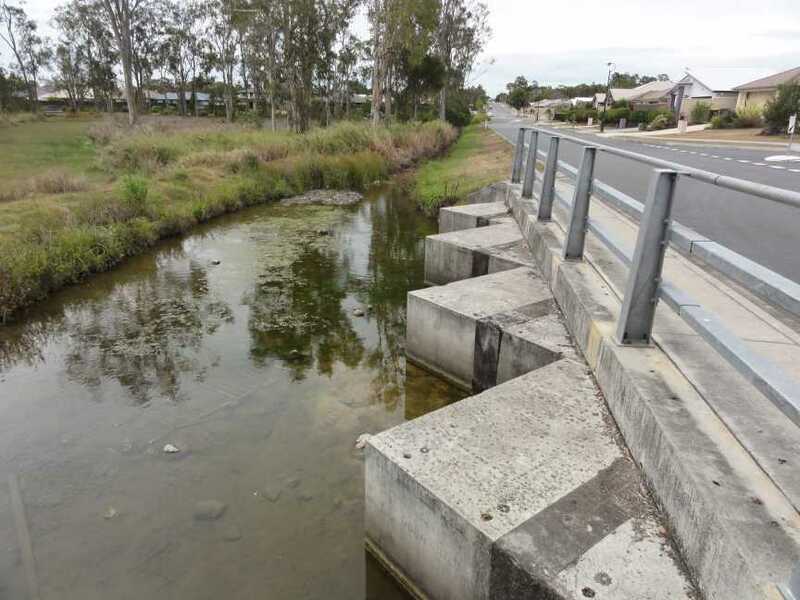 Total width is 20 metres less the width of the concrete box culverts uprights. 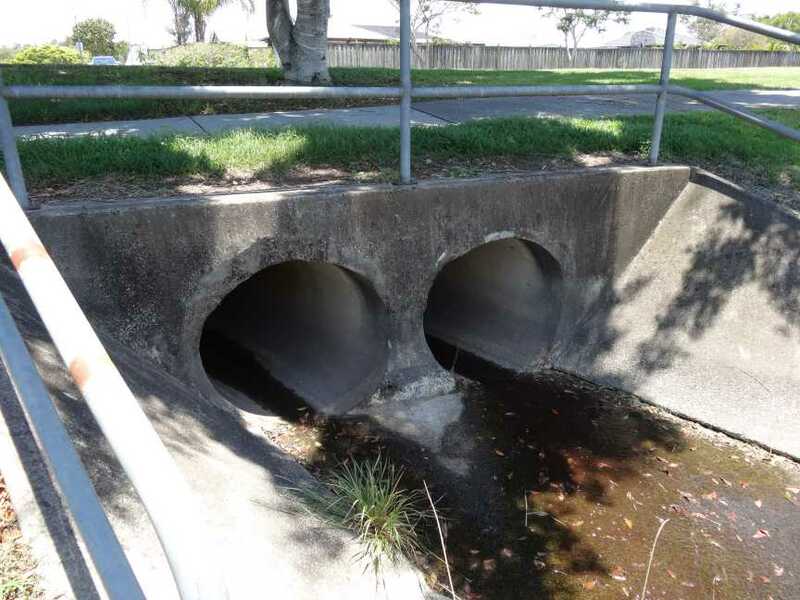 A view of the upstream of Wynnum Road, Wynnum West culverts near the High School. 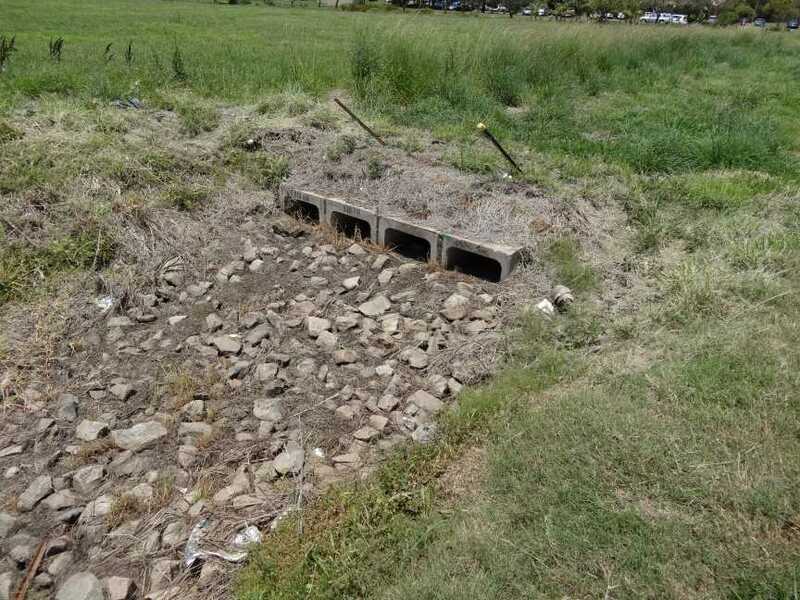 Industrial park drain pipe into Hemmant Creek. 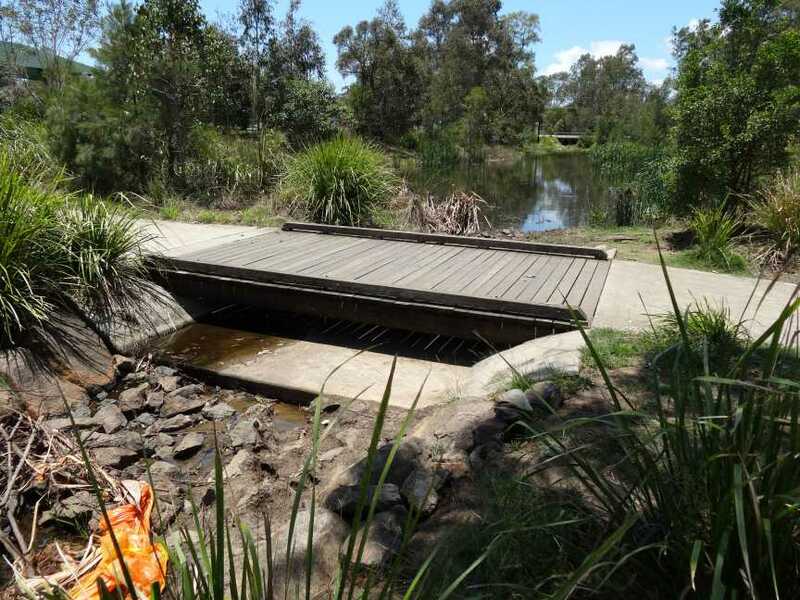 Pedestrian/Cycle bridge over Hemmant Creek Robinson Park. 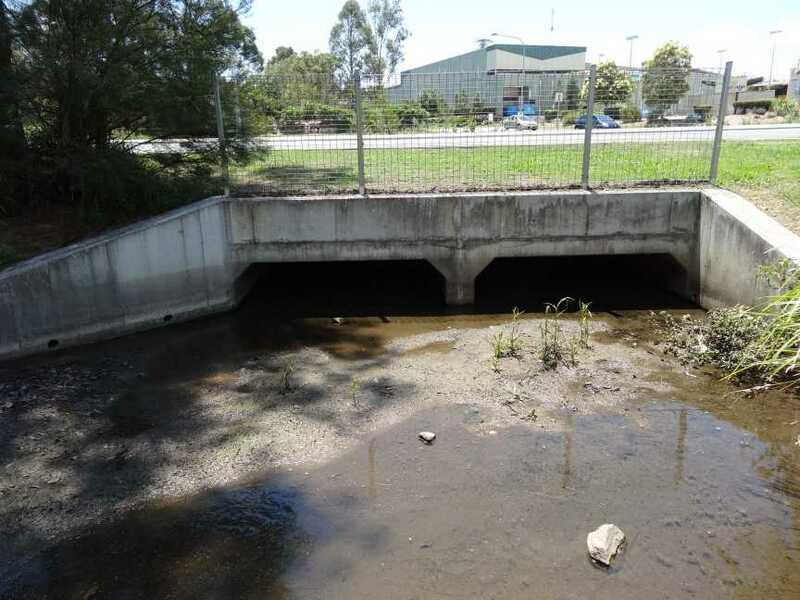 Hemmant Creek at Wondall Road Culverts Upstream side. 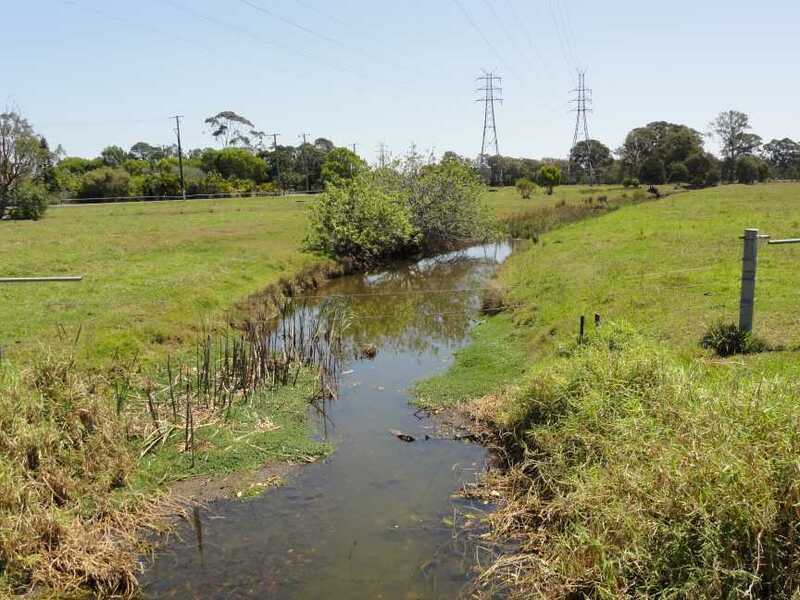 View from Wondall Road looking Upstream at Hemmant Creek. 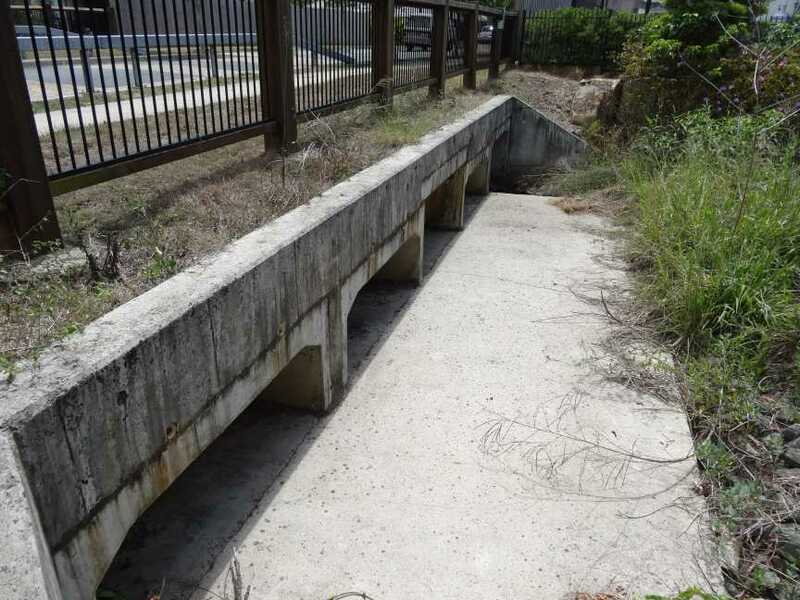 Culvert near Treetop Place, Manly West. 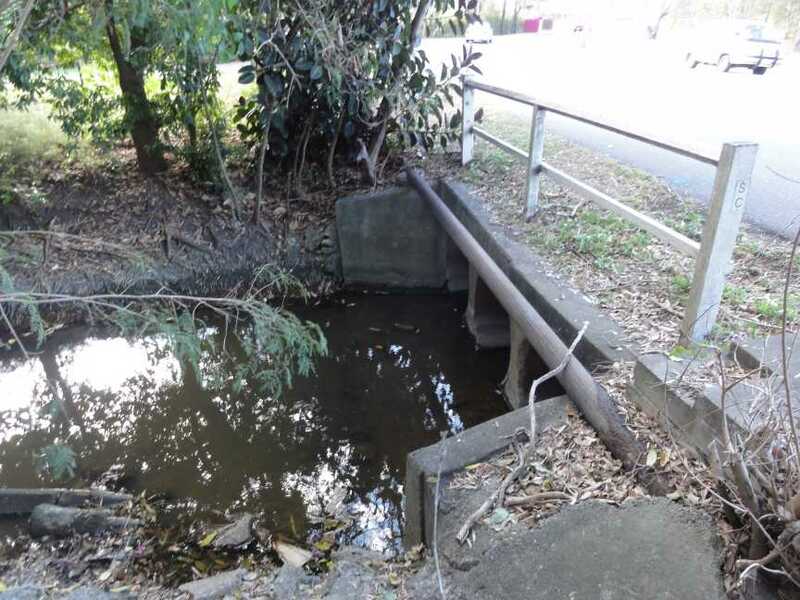 Culvert under Kianawah Road South near Treetop Place Manly West. Mayfair Village Shopping Centre in Background. 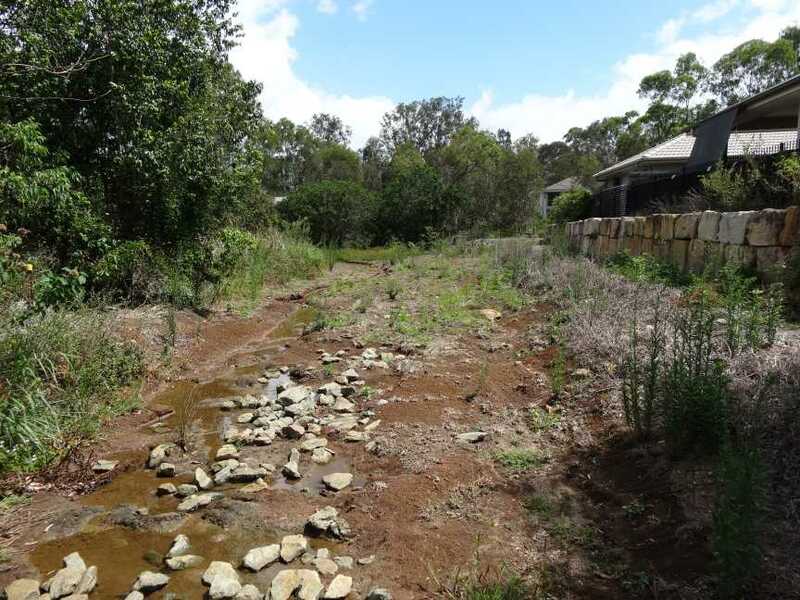 Upstream of Kianawah Road South near Burnett Street, Manly West. 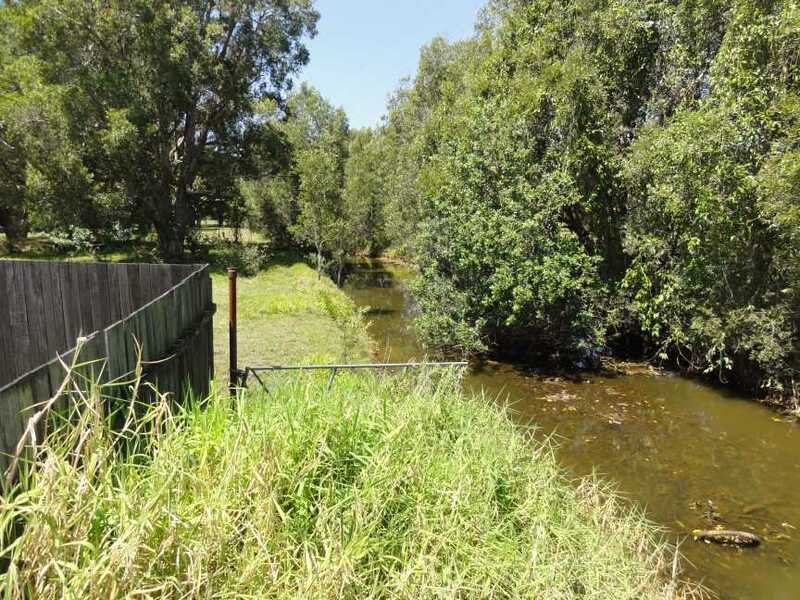 Hemmant Creek looking downstream from Link Street, Manly West. 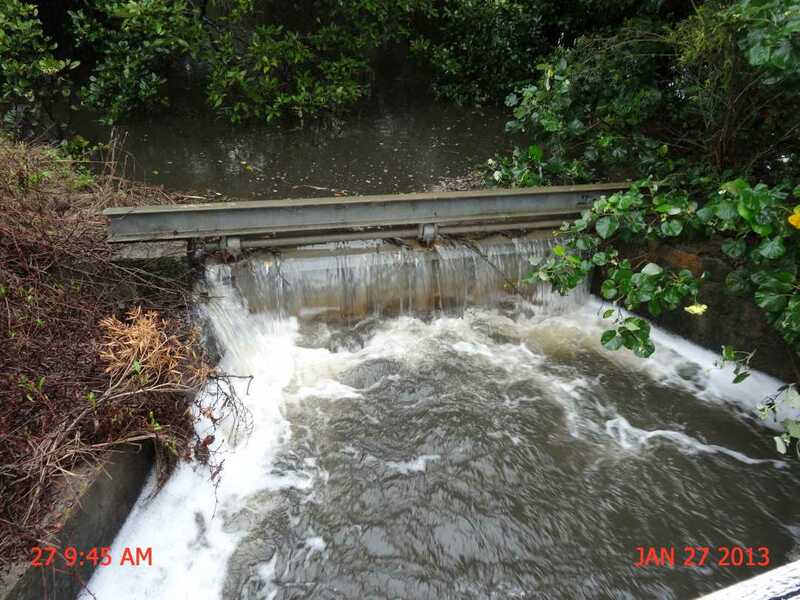 Hemmant Creek looking at the downstream side of the culvert at Link Street, Manly West. 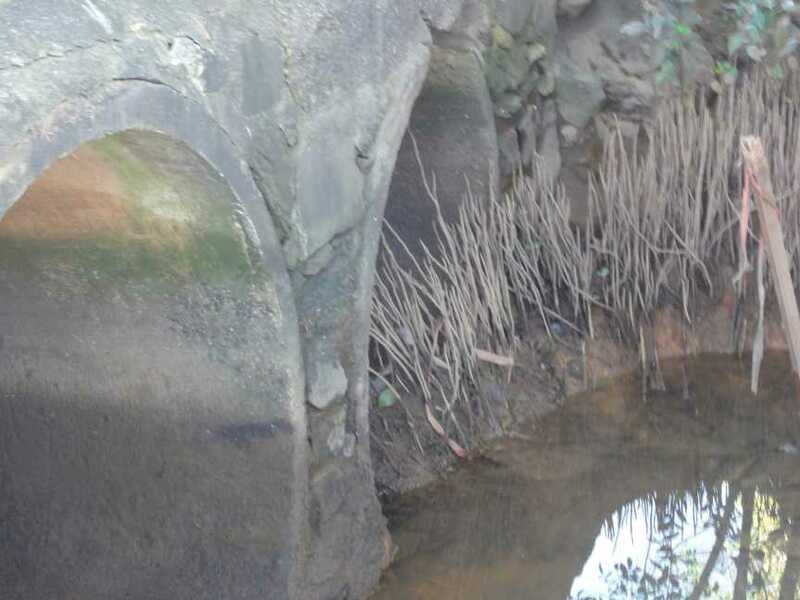 Hemmant Creek upstream side of Link Street culvert, Manly West. 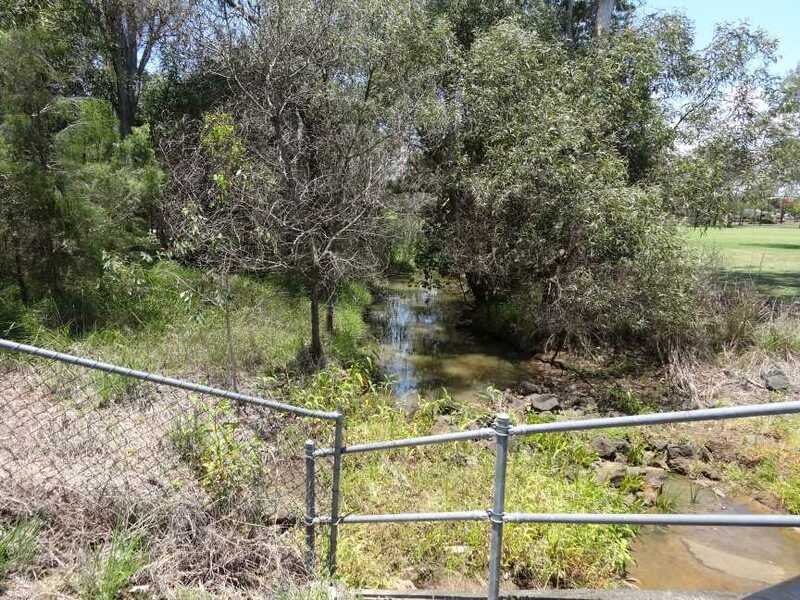 Hemmant Creek looking upstream from Link Street, Manly West towards Manly Road. Upstream from Manly Road Hemmant Creek is only in pipes. 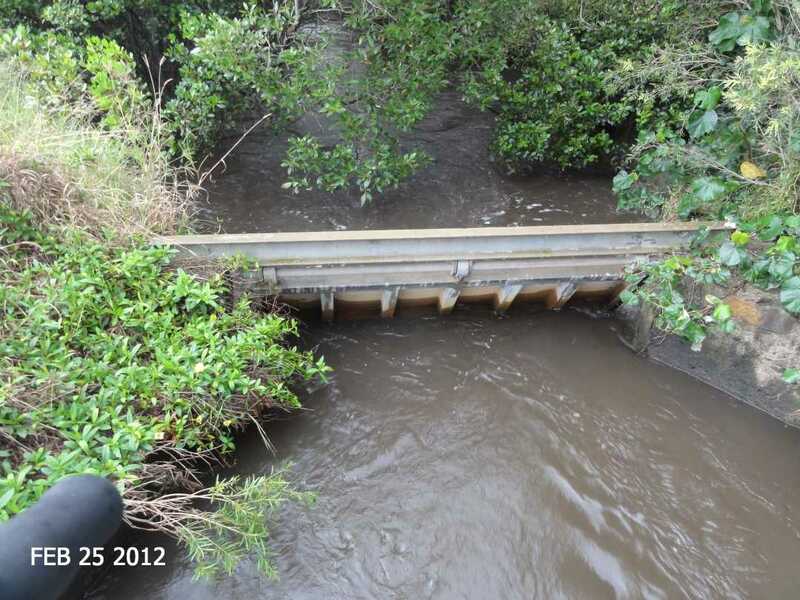 Just remember this is a photo of the LAST downstream culverts at Hemmant near the mouth of Hemmant Creek Photo below. 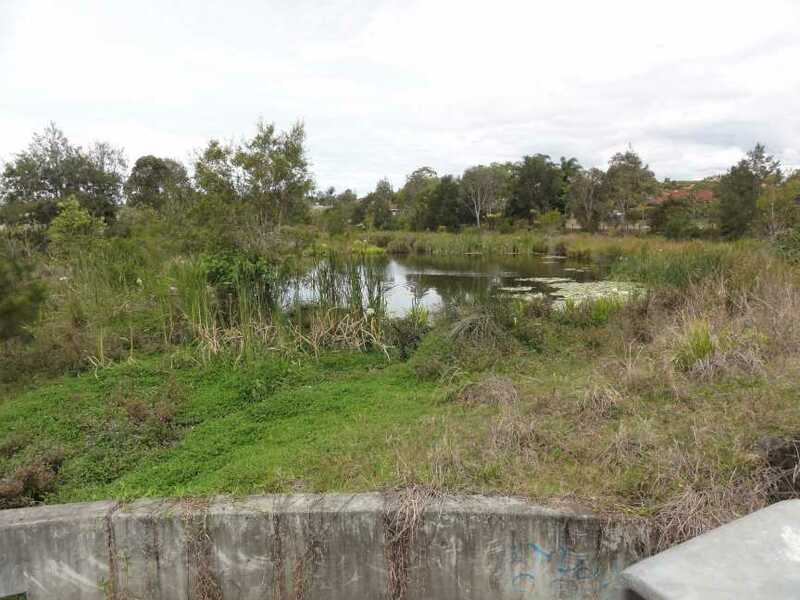 The Eastern tributary of Bulimba Creek towards KMART Wynnum West. 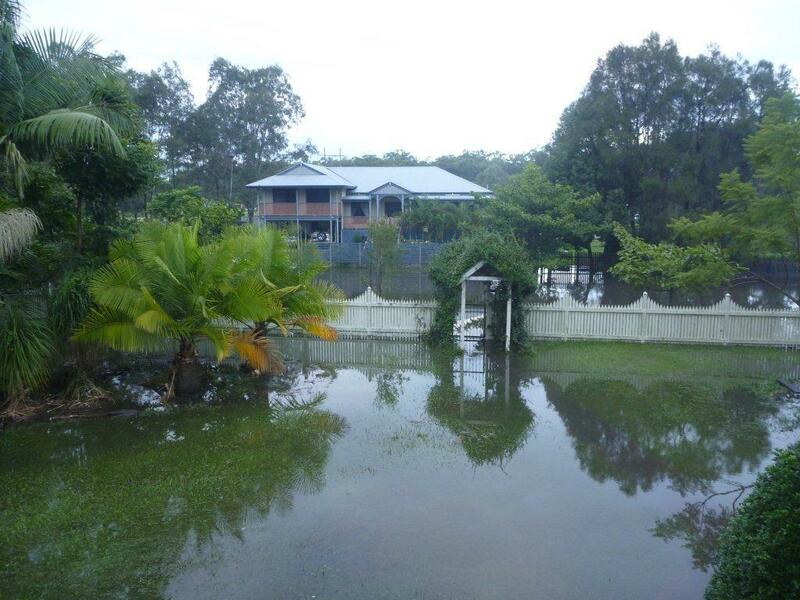 School Road Wynnum West downstream side looking north. 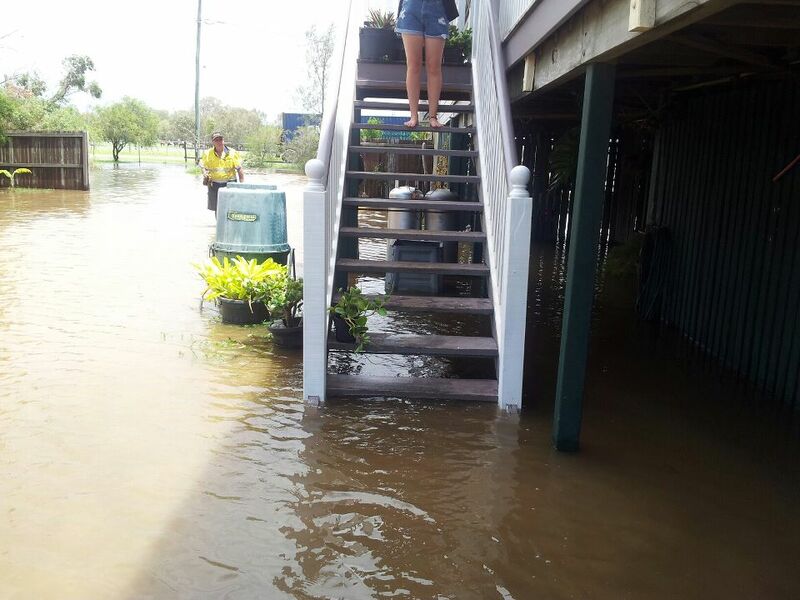 School Road Wynnum West downstream side. 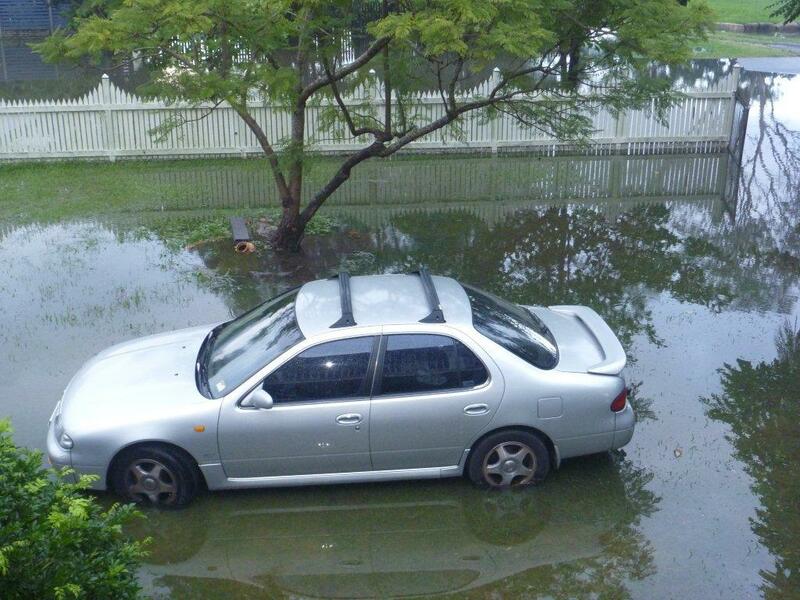 View from School Road Wynnum West upstream. 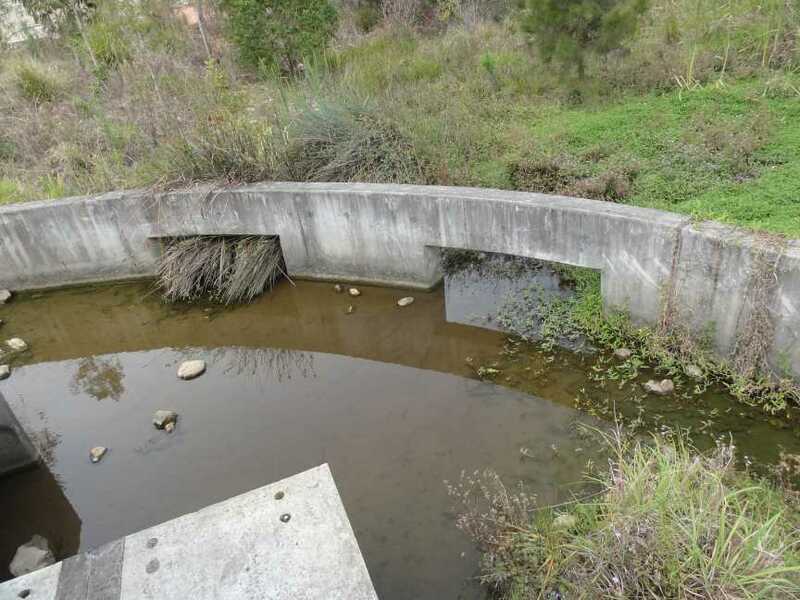 Culverts and retention dam wall. 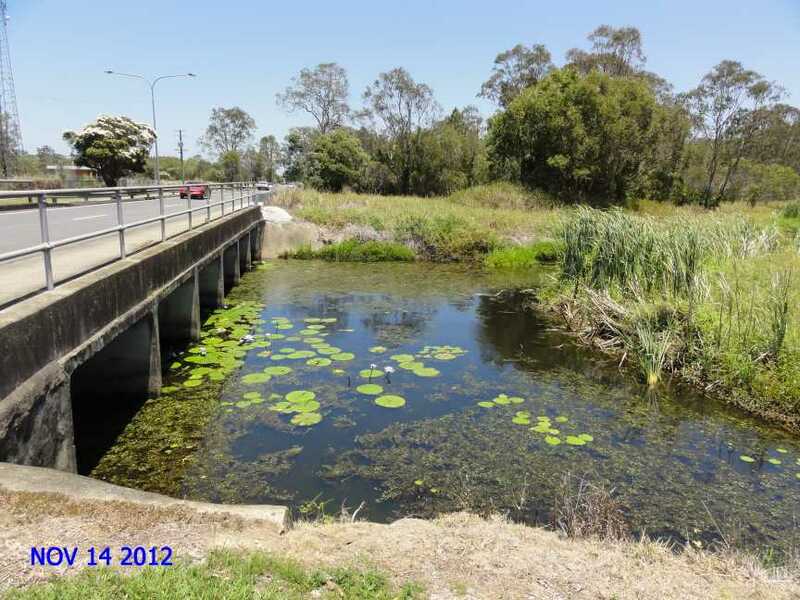 View from School Road Wynnum West upstream side. 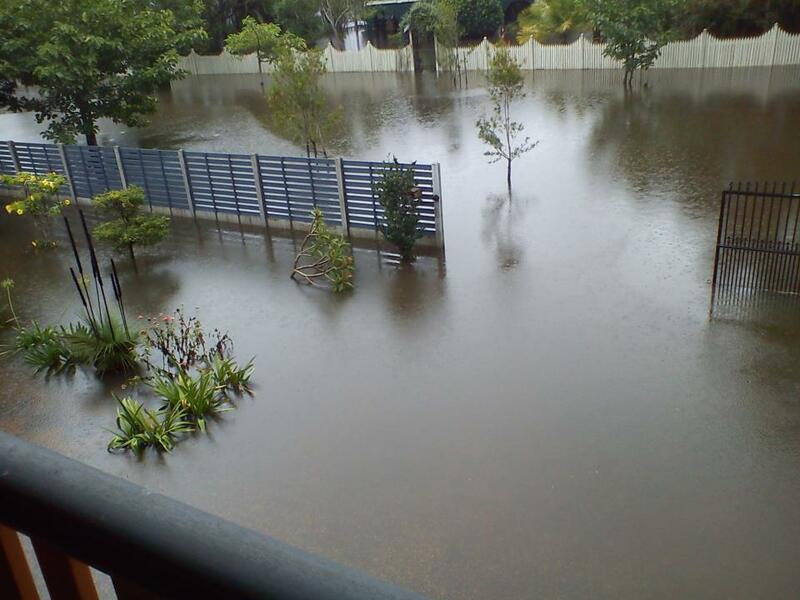 View from School Road Wynnum West towards Wynnum Road and KMART. 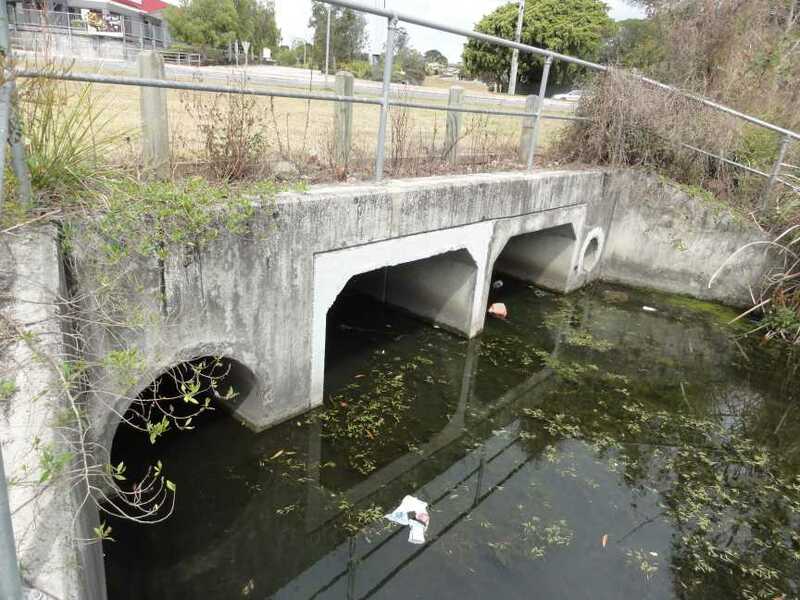 Culverts under Wynnum Road Wynnum West near KMART downstream side. 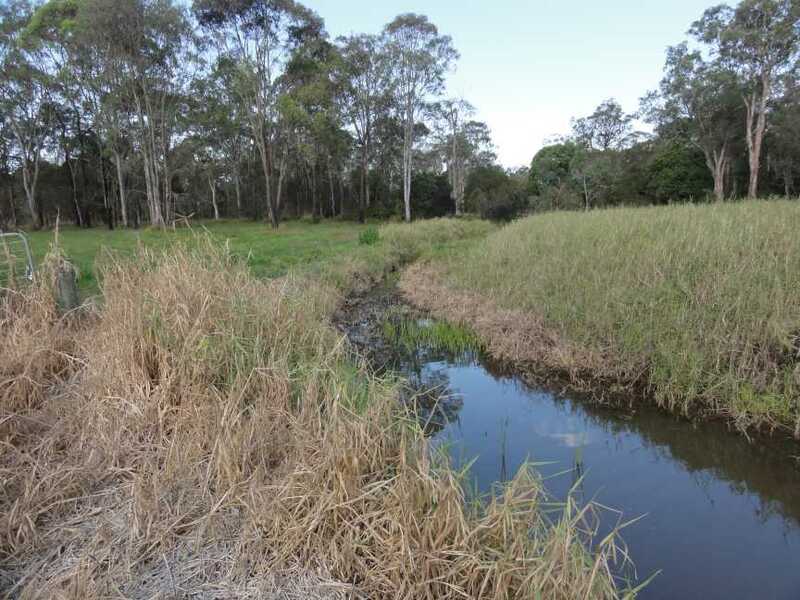 Hemmant Creek is also responsible for draining the area north of Youngs Road and east to Evelyn Road and south to Ropley Road with over land flows. 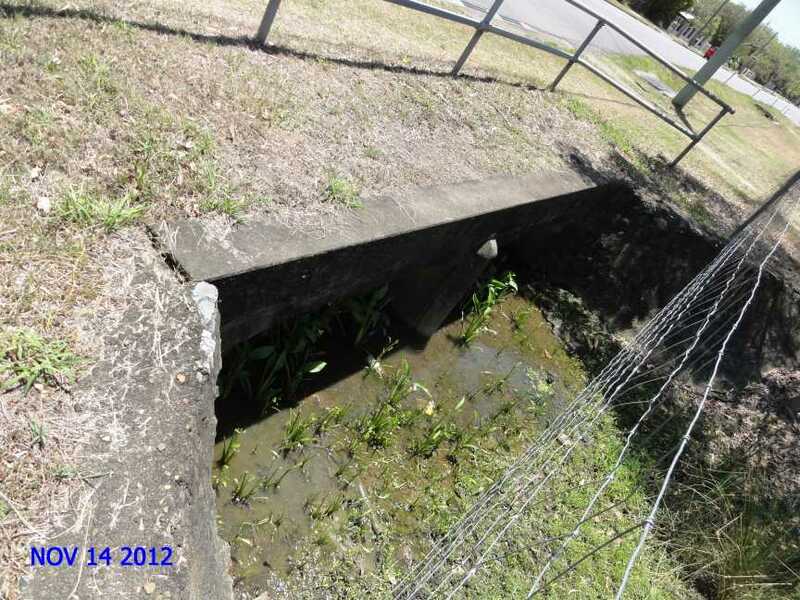 Photos at the Kianawah Road culvert between Youngs Road and Evelyn Roads below. Upstream side of Kianawah Road south of Evelyn Road. 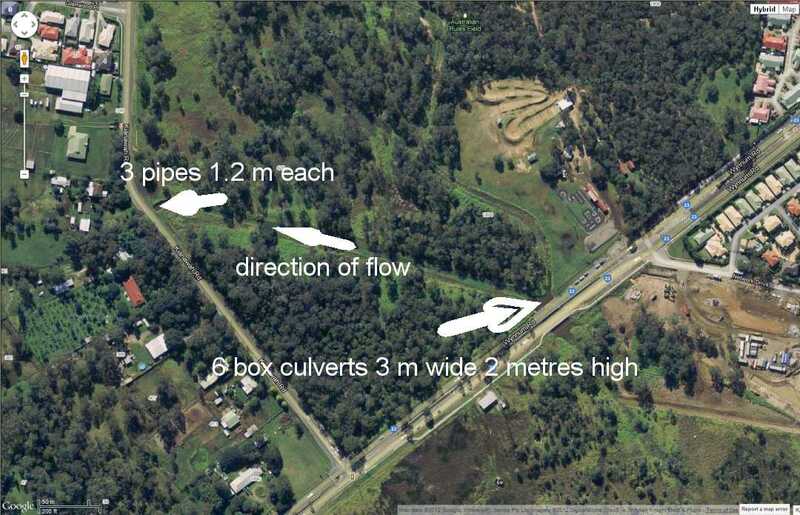 The 2 Culverts are 2 metres by 1 metre therefore 4 sq metres. Downstream side of culverts under Kianawah Road just south of Evelyn Road. 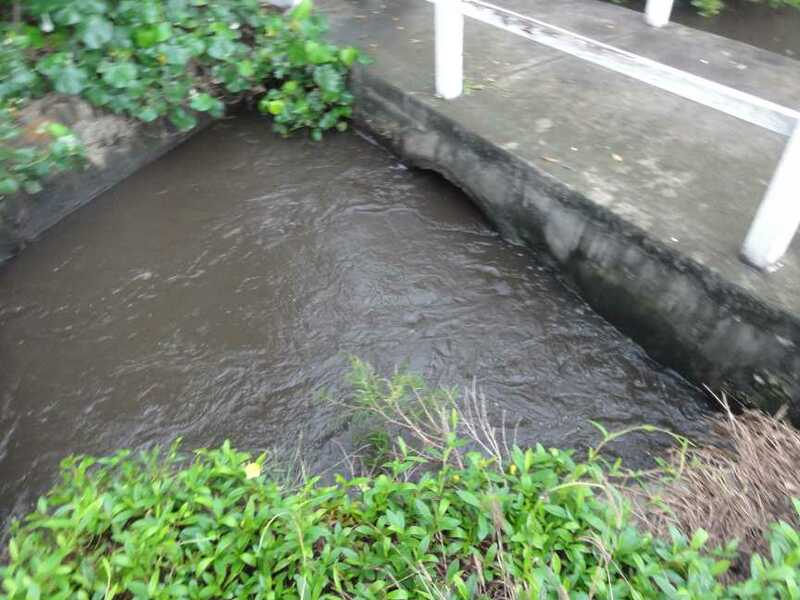 Drain flows towards Hemmant Tingalpa Road to join Hemmant Creek. 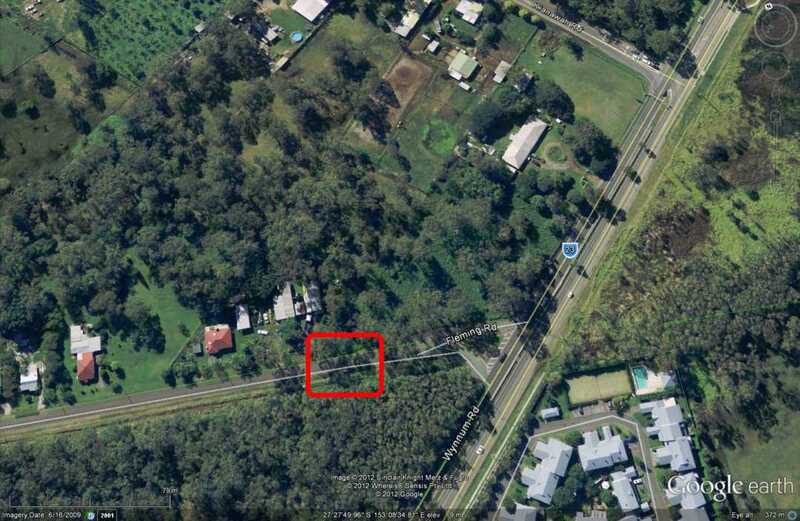 There is a melaleuca wetland remaining between Fleming Road and Wynnum Road outbound side. 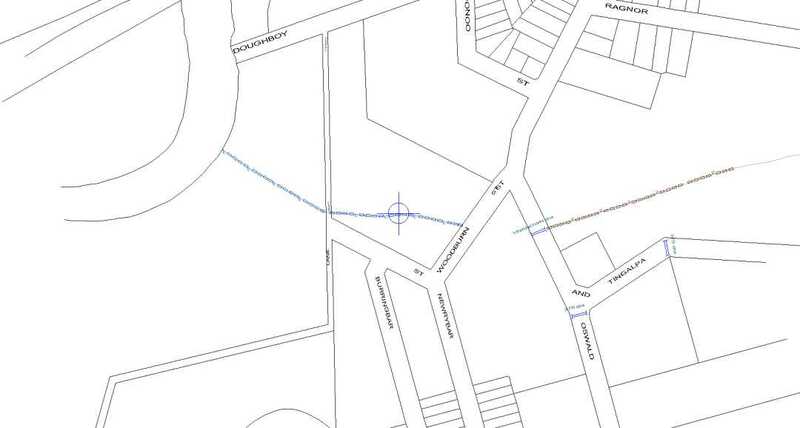 This area drains under Fleming road near it connection to Wynnum Road. 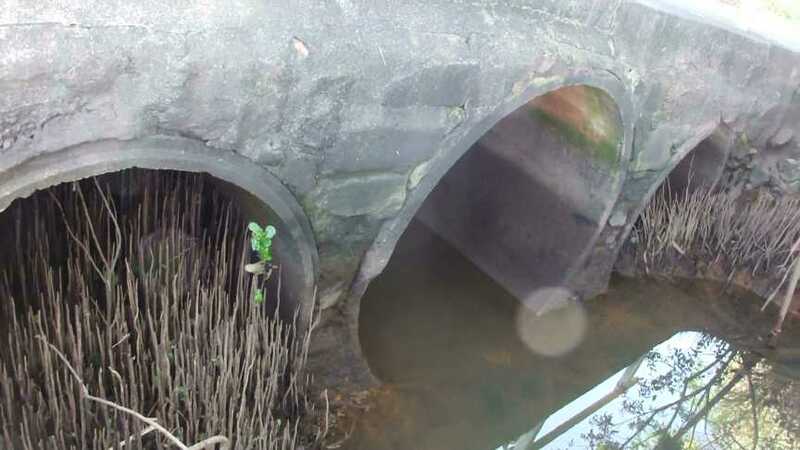 Box culvert under Fleming Road up stream side. 1 metre by 0.4 metre therefore 0.4 sq metre capacity. 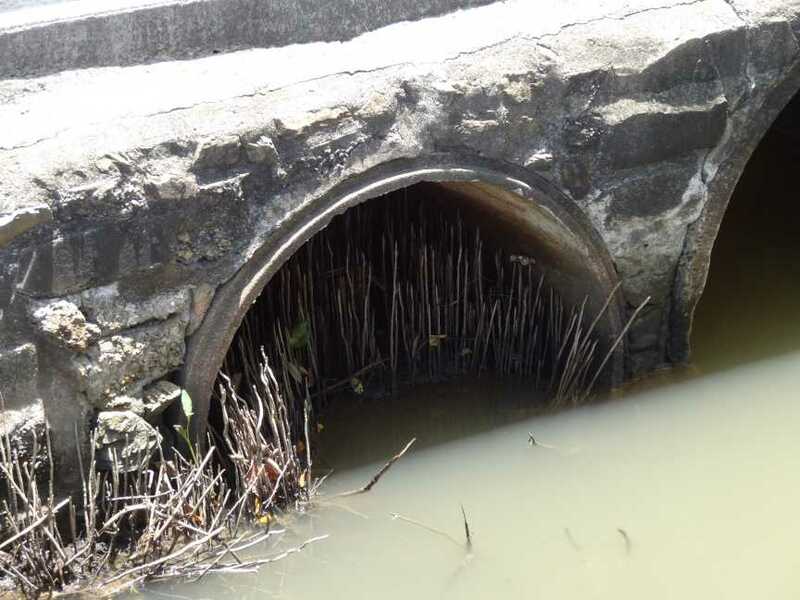 Box culvert under Fleming Road down stream side. 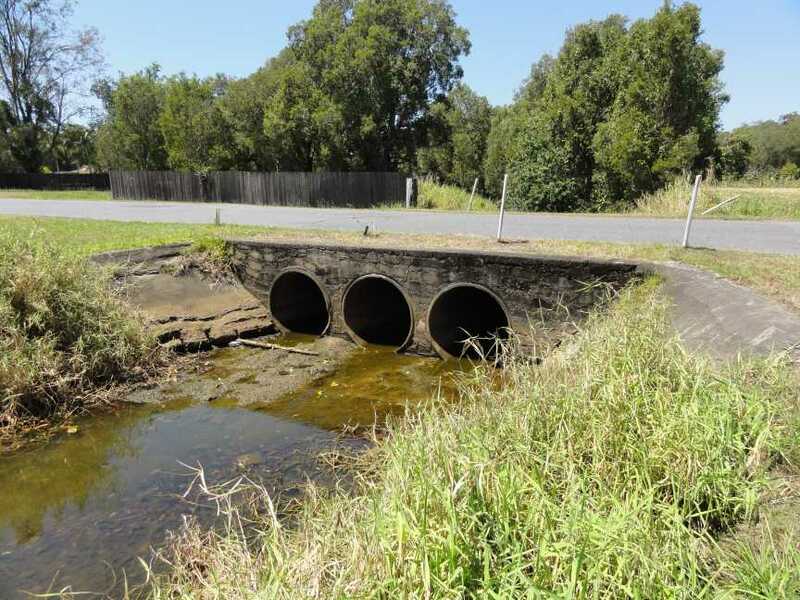 Fleming Road Hemmant culverts (above) with Wynnum Road in background.